Marvel Studios logo animation (2016-present), featuring the Marvel Studios fanfare by Michael Giacchino (0:37). The music of the Marvel Cinematic Universe (MCU) is the film and television scores composed by various composers for the films and television series of that franchise. Ramin Djawadi provided the first MCU music with his original score for Iron Man in 2008. 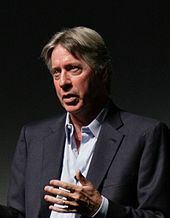 Alan Silvestri was the first composer to work on multiple MCU films after he transitioned from scoring Captain America: The First Avenger (2011) to Marvel's The Avengers (2012), while Brian Tyler was the first composer to reference the work of another MCU composer when he quoted Silvestri's "Captain America March" in his score for Thor: The Dark World (2013). Silvestri has scored three MCU films, the most for any composer in the franchise, in addition to his contributions being referenced in multiple other films. Original music has also been composed for the Marvel One-Shots short film series, and other related projects of the MCU, including the fanfares for the two Marvel Studios logos, composed by Tyler and Michael Giacchino, respectively. Additionally, original songs have been created specifically for use in the franchise, including "Make Way For Tomorrow, Today" by Richard M. Sherman and "Star Spangled Man" by Alan Menken and David Zippel, both of which have been used in multiple MCU projects. The scores for every MCU film and television series have received album releases, and several compilation albums featuring existing songs used in the films have also been released. Critical response to the MCU's music has been mixed, with focus placed on a lack of memorable, identifiable themes that are comparable to other large media franchises, and on the lack of continuity between works. Despite this, some critics have shown appreciation for the individual work of some of the more traditional composers like Silvestri, and for Tyler's efforts in attempting to establish a consistent tone for the franchise and some thematic continuity between his scores and Silvestri's work. Ludwig Göransson's score to Black Panther (2018) won an Academy Award for Best Original Score and a Grammy Award for Best Score Soundtrack for Visual Media, while the song "King's Dead" from the film's soundtrack album won a Grammy for Best Rap Performance. 4.4.1 "Make Way For Tomorrow, Today"
4.4.3 "Theme from Caged Heat 1985"
4.4.4 "Watcha Gonna Do (It's Up to You)"
4.4.7 "I Want Your Cray Cray"
Ramin Djawadi is the composer of the first MCU film. Ramin Djawadi had been a fan of the character Iron Man as a child, saying that he always liked superheroes "that actually don’t have any superpowers". After Iron Man director Jon Favreau's previous collaborator John Debney was unavailable to score the film, Djawadi sought out the role himself. Filming on Iron Man had already been completed by the time Djawadi joined the production, and rather than wait until he could see the completed film, as he usually would, Djawadi began "playing with ideas" as soon as he saw the first trailer. Due to time constraints and the final cut of the film changing until "the last possible minute", Djawadi had help with arrangements and additional cues from Hans Zimmer and Remote Control Productions. Rage Against the Machine guitarist Tom Morello, who makes a cameo appearance in the film, contributed guitar performances to the score. Favreau had a clear vision of heavy metal music and guitars for the project, saying that Tony Stark was more of a rock star than a traditional superhero, and "there’s Spider-man, Batman and all these superhero movies. This superhero movie’s different. I want to do something completely different, instead of going down the orchestral route. I want to do more rock and roll." Djawadi subsequently composed most of the film's score on guitar, before arranging it for orchestra. Djawadi composed several themes for the character of Tony Stark, representing his different moods and attitudes, all inspired by Robert Downey, Jr.'s performance. Other themes for the film are "not so much character based, but rather plot based that carry you through the movie". Musicians John O'Brien and Rick Boston, frequent collaborators with Favreau, provided a big band-style arrangement of the Iron Man theme song from the 1966 cartoon The Marvel Super Heroes for a scene where Stark attends a casino. Director Louis Leterrier's first choice for composer on The Incredible Hulk was Craig Armstrong, once the arranger for Massive Attack, a band Leterrier was fond of and had collaborated with on the 2005 film Unleashed; this choice had surprised Marvel, who often had directors asking for the likes of John Williams or Danny Elfman, and the studio was hesitant due to Armstrong's lack of experience writing for action films. Leterrier listened to Armstrong's previous music while planning and editing the film, and music editor Peter Myles used Armstrong's work and similar music by others in the film's temp score. Armstrong chose not to listen to the temp, or watch Ang Lee's Hulk, before composing the score, which he begun in his home in Glasgow, Scotland, before moving to Remote Control in Los Angeles to be closer to the production. The score was recorded in four days, resulting in little time for adjustments on the day, forcing Armstrong to "create very specific demos" that were "completely accurate" for Matt Dunkley to orchestrate. Leterrier favored an orchestral sound over electronics, "because he didn’t want the work to sound dated so quickly", though Armstrong did electronically enhance a lot of the orchestral recordings. Additionally, "about half the score" features various ethnic instruments performed by Pete Lockett. When Armstrong first began working in Glasgow, he did so with three sequences which he called "the keys to opening up" the score: the Abomination and the Hulk's alley fight, "which was complex because of its choreography"; Bruce Banner and Betty Ross' reunion, "the romantic element of the score"; and the Hulk and Betty in the cave, which "combines The Hulk Theme and when Hulk and Betty are together, so the Bruce and Betty Theme was totally different than my music for The Hulk and Betty". For the Hulk's theme, Armstrong compared it to Williams' main theme for Jaws, with "simple notation" that "summed up the complete concept". The theme features a bass C note, with string glissandos up an octave and then back down to the original note. Other themes include Bruce Banner's theme, for "when he’s alone and searching for the cure"; two theme's for the Abomination, a dark one for the soldier Emil Blonsky and a more aggressive one for when he becomes a monster himself (the latter is combined with the Hulk theme when those character's fight); the love theme for Banner and Betty Ross; and a scientific theme, for "when they are trying to crack the codes of the Hulk". Joe Harnell's "The Lonely Man" theme for the 1978 The Incredible Hulk television series is briefly quoted in the cue "Bruce Goes Home", with Armstrong playing the piano for the piece himself. For the sequel to Iron Man, Debney returned to work with Favreau, replacing Djawadi as composer. Debney called his score for Iron Man 2 "quite different in many ways from the last score. This score while employing much guitar and more contemporary elements, it is also much bigger and darker in tone and scope." He described his music as "Led Zeppelin with an orchestra", and elaborated that "The two scores share a common pedigree [of rock-and-roll and electric guitar] but are generally different. They are different scores with different results." Debney was not influenced by the AC/DC soundtrack for the film, feeling that "the songs and score play two very different roles in the film", and unlike the previous score he used a large choir for some of the film's more dramatic moments. Morello returned to again contribute guitar performances for the film, this time collaborating with Debney to write some of the music itself, with Debney first composing the score, and then working with Morello on the guitar parts and "textures". Debney called Iron Man 2 "odd in that there were not a lot of places where a true superhero theme could be played. Tony Stark is uber cool even as Iron Man, so, musically, we couldn’t state a full-blown superhero theme. The strains of Iron Man’s theme are heard only in a few spots by design. I’m hoping with future films, Iron Man might get his full-blown theme played aggressively." For instance, Debney recorded several different versions of the score for scenes where Stark puts on the Iron Man suit, each with "different portions of the theme fleshed out or left out". What was ultimately chosen "was less thematic. It was sort of a groove with a little bit of French horn. Maybe that was the right choice, but it was a difficult decision. It was difficult to find the areas in the movie where we could let Tony be a superhero." He continued, "There were moments where I wanted to play a scene broadly or make a love scene out of it but we were never able to go there", such as for the end of the film where "Tony finally kisses Pepper ... there were a couple of versions I did that were really gorgeous and lush but it just didn't fit. It's a different kind of movie because they kiss and then all of a sudden the mood is broken. It's just the nature of this character." Debney felt that this process led to the score being "watered down and mashed up a little bit" from what he originally intended. However, Debney did not feel the same about his music for the villain, Ivan Vanko, which he described as a personal "joy". He said that Favreau "gave me a great opportunity to get into [the opening] scene and learn [Vanko]'s circumstances and to play sincerely sad music for him and the relationship he had with his father. Jon gave me the opportunity to morph that and turn it into something really dark and twisted. For me that was the most satisfactory part of the score and the film". For Vanko's theme, the choir sang in Russian to "capture the dark Russian soul" of the character. Director Kenneth Branagh's frequent composing collaborator Patrick Doyle called Thor "the most commercially high profile film I have done since Frankenstein", and noted that "Marvel Studios have a brand in Thor. Their interest, like mine, was for strong thematic material that would capture the essence of that brand." Branagh and Doyle wanted the score to have a contemporary feel, while Doyle "was also eager for the score to contain a strong sense of melody, which [Branagh] responds to in my work. He was keen, as indeed I was, that the grand images were not in any way hyperbolized, and that there would be a balance between playing with, and against the images." To distinguish between the realms of Asgard and Earth musically, Doyle used "broader orchestral strokes and thicker orchestration" to depict the grandeur and beauty of Asgard, and more "contemporary, electronic and percussion driven" music for the Earth scenes, incorporating the then-popular ostinato technique "in a symphonic way whenever appropriate". Doyle took inspiration for the score from his own Celtic background, which he described as "very intertwined" with the Norse mythology that Thor is based on, as well as the works of Richard Wagner. He found the main challenge of the score to be composing a "superhero theme" for the titular character, and a second main theme representing Asgard, the latter of which Doyle wanted "to come across as an old folk song from a Celtic world". He noted that the Asgard theme develops throughout the film to also represent traveling, action, and fighting. Of the other themes he composed for the film, Doyle also noted a theme for Jotunheim, another world visited in the film. On specific instrumentation for the character of Thor, Doyle jokingly noted that a piccolo would be inappropriate, and that a character with such a big personality and physicality required "a slightly more robust set of musical instruments: horns, low brass, slow strings etc." To represent the character's longing for home after he is banished from Asgard to Earth, Doyle used a cor anglais, which he felt also captured Thor's pathos and nobility. Alan Silvestri served as composer for Captain America: The First Avenger, Marvel's The Avengers, and Avengers: Infinity War and has announced that he will return for Avengers: Endgame. By February 2011, Marvel chose Alan Silvestri to provide the score for Captain America: The First Avenger after composing the "iconic scores" for Back to the Future and Forrest Gump, over a number of other composers including Michael Giacchino, John Powell, and Henry Jackman. Silvestri then met with director Joe Johnston to spot the film, and had seven and a half weeks to compose the score. Johnston wanted a full orchestral score "to allow for movement" between the film's two genres: a period piece and a futuristic, high-tech sci-fi film. Silvestri noted the appropriateness of the fact that his style of music, which he describes as "romantically heroic", is often described by others as "patriotic", as well as his tendency to use brass instruments, which can "compete sonically and give the music some kind of presence where it might not have any", something necessary during the film's action sequences. In Silvestri's first meeting with Johnston, the latter raised his desire for a central theme. On this, Silvestri said, "To have some kind of musical signature either for a character or some aspect of the film, truly holds the score together. A theme makes the music feel like one piece in a sense." For this central theme, a fanfare for Captain America, Silvestri did not look to any past film scores in particular, instead looking to "certain kinds of elements that we have, over time, associated with that kind of heroic statement", such as the percussive elements, intervals, and brass instrumentation of Aaron Copland's "Fanfare for the Common Man". He noted that Captain America is a "very bold and bombastic idea, so you don’t need to inflate that in any way. But that doesn’t mean you have to play those elements down either", adding that he felt Captain America was fleshed out more as a character simply by facing "a really bad guy" in the Red Skull in a similar way to Luke Skywalker's development in the presence of Darth Vader. On the Red Skull himself, Silvestri looked to take the character seriously and "play him as bad", but allowed for more compassion for the character when he talks about his tortured past. He also introduced a theme for the Tesseract, Red Skull's energy source. In November 2011, Marvel announced that Silvestri would return to compose the score for the crossover film Marvel's The Avengers. Silvestri found it helpful to have already been part of the "Marvel process", which gave him a "sense of how Marvel treats their characters, cares for them, and a bit of what that Marvel post-production process feels like". Director Joss Whedon preferred an "old-school ... old-fashioned" score to using pre-existing songs, which he felt makes "the moment [become] about the song". He called Silvestri "letter perfect for this movie because he can give you the heightened emotion ... but he can also be extraordinarily cue and character specific, which I love." Silvestri did not want the score to have the same "military" feeling as Captain America: The First Avengers's, as Stark says in the film "We’re not soldiers." However, Whedon did want aspects of the film to resemble a war film, and "there are times where [the Avengers are] absolutely functioning as this paramilitary unit", so Silvestri did add some "military seasoning" in places. Both Whedon and Silvestri wanted the score to build throughout the film, to climax in the final battle. For the aftermath of that fight, Silvestri uses a simple guitar piece to give the audience a rest with a "complete sonic break" from what comes before in the film. He then segues back into the full orchestra for the end of the film. For a sequence where the villain Loki attacks while a string quartet plays Franz Schubert's String Quartet No. 13 in A minor, the editors had already overlaid the piece with a temp track for when Loki "starts to do his thing". Silvestri expanded on this for the final score, having the music transition from the onscreen quartet to the entire orchestra playing the same piece when the fighting begins. On composing for a film with such a large cast, Silvestri said, "I’ve worked on films where there have been a number of stars and certainly worked on films where there have been characters of equal weight in terms of their level of importance and profile in the film, but this one is somewhat extreme in that regard because each of these characters has their own world ... the film is really about the coming together of these characters, which implies that there is this entity called the Avengers which really has to be representative of all of them together." Later elaborating on this, Silvestri said, "We knew that if we were to have a theme for every character in this movie, the music would get very clunky and intrusive. So I stayed away from all of that." Instead, Marvel and Whedon wanted a central, definable "Avengers" theme for the film, which Silvestri wanted to have a heroic aspect and a grandness, but also be "generated from that scene when they’re all gathering for the last great battle ... the interesting thing about it as the 'big moment; of the score is that they’re not doing anything. They’re standing there, which allowed me to move away from the idea of it being an action moment." Silvestri did ultimately use some other themes in the score: he developed a motif for Loki as the central villain of the film, a "low, ominous sequence of chords, [used] when his presence is either visible or implied"; he reprised his Captain America theme, for when that character "makes his entrance, or when he’s in the middle of a fight scene ... yet not using it fully" as "a little of his theme goes a long, long way", and his Tesseract theme, including over the opening logos of the film; and midway through Silvestri's work writing the score, Whedon had seen some completed scenes featuring the Black Widow and "wanted to explore music that was a bit more thematic for her", so Silvestri introduced "a lonely, plucked theme with an Eastern European flavor" to define the character. For the other major characters, Silvestri used instrumentation to differentiate their scenes, for instance Iron Man "always has the more contemporary, rhythmic component to a lot of his music." With Iron Man 3 featuring a post-Avengers Tony Stark, Marvel and incoming director Shane Black wanted to move away from the rock sound of the previous Iron Man films, and towards "a score that echoed the classics of super hero film history", for which they approached Brian Tyler, a Marvel fan whose previous music had often been used in temp scores for other films by the studio. Tyler stated that Marvel was interested in him for his more thematic work from the likes of The Greatest Game Ever Played, Annapolis, and Partition, rather than his "modern" action music such as that for The Fast and the Furious films and Battle: Los Angeles, and wanted him to combine the energy of the latter with the sensibilities of the former. In addition to the classic orchestra, Tyler recorded metallic sounds such as anvils being hit to add an element of "iron" to the score. As a nod to the previous Iron Man composer's use of guitars, Tyler added instances of the orchestra performing Black Sabbath-like riffs throughout the film. Marvel specifically asked Tyler for a new and different, "really identifiable" theme for Iron Man to represent his "serious" new role in the MCU as a "legitimate superhero", which Tyler described as a thematic reboot. To create a "bigger and grander" sound than the previous Iron Man scores, Tyler took influence from the works of John Williams, Alex North, and John Barry, among others. Tyler composed the new theme on piano, but always intended it to be a "march and anthem" with a large brass component. Tyler also used the same theme played on a harp to represent Stark's sad emotional state after he is stranded without the Iron Man suit, and created a "wild 1960s style" arrangement of it for the film's main titles which had reminded Tyler of a typical police series from that era. For the Extremis technology, Tyler wanted a motif with a magical quality as he felt that it was technology so futuristic that it seemed like magic, and so looked to Williams' "The Well of the Souls" cue from Raiders of the Lost Ark for inspiration, giving the motif a spiritual feel. The idea of spirituality also extends to the Mandarin's theme; Tyler noted the ambiguity of the character in terms of ethnicity and culture, and how he appears in the film as a "be-all" terrorist, as well as his role as a fanatical, "quasi-religious leader" comparable to Jim Jones. The theme ultimately combines religious music from multiple cultures—including Monastic, Gothic, and Christian chants and choirs, and sounds from the Middle-East and Asia—and was primarily played on the bansuri and bazantar. Branagh chose not to return for the sequel to Thor, and was replaced as director by Alan Taylor. By August 2012, Doyle had discussed potentially returning to score the film with Taylor, however, Taylor's first choice for composer was Carter Burwell, who signed on to Thor: The Dark World by April 2013. A month later, Burwell left the film in what Marvel described as a "creative split", and Tyler signed on to replace him that June. President of Marvel Studios Kevin Feige later explained that Marvel had approved of Taylor's choice based on Burwell's collaborations with the Coen brothers, but the studio ultimately felt that Burwell was not the right fit for the film, and had to make an early decision to replace the composer due to the relatively short time left for post-production on the film; Feige admitted that if there was "time for trial and error, it might have worked" out. Tyler was chosen by Marvel to replace Burwell based on the positive experience the company had working with him on Iron Man 3. On differentiating his scores for Iron Man 3 and The Dark World, Tyler said that they were at the opposite ends of the "superhero spectrum", and so even though he used full orchestras for both, "the actual writing of the notes and the harmonies and all that was different." He later elaborated that "The feel of Thor is a very different than Iron Man. Yet they live in the same universe. For me, it’s like somehow Indiana Jones showed up on the Enterprise, or something." Tyler described The Dark World as "science fiction meeting classic medieval war", and saw it as a cross between Star Wars and The Lord of the Rings—"there’s spaceships and lasers ... but within it they wear capes and fight with swords and ride horses ... those were not elements really present as much in the first one. So it required something different. I think my score for Thor: The Dark World would have been out of place in the first film and vice versa." Azam Ali, who collaborated with Tyler on Children of Dune, and Tori Letzler are featured vocalists for the score; Tyler felt that their contributions provided "something emotional" to the score. Rather than have Tyler reprise Doyle's themes from the first film, Marvel wanted Tyler to create a new, post-Avengers Thor theme as he did for Tony Stark in Iron Man 3. Tyler described his new theme as mature, regal, and epic, and noted that the romantic elements with the character Jane Foster become "kind of melancholy" for the sequel, "because she’s this mortal that he’s fallen for, which could not be further from his side of the train tracks". The theme for Thor evolved from a more "pageant"-like theme that represents Asgard in the film, which has a much more lived-in feeling than it did in the first film. Tyler also introduced a new theme for post-Avengers Loki to reflect his increasingly complicated personality and storyline, performed on a harp to play against expectations. Despite not reprising Doyle's themes, Tyler looked to pay homage to his general style and sound from the first film during quieter moments like dialogue scenes. He also quotes Silvestri's Captain America theme when that character makes a brief cameo appearance. When Henry Jackman was in the running to score Captain America: The First Avenger, he had written "a full-on traditional symphonic, Americana score" as proof-of-concept for Marvel, which he looked to return to when Marvel asked him to score the sequel, Captain America: The Winter Soldier. He felt that Silvestri had used that same style to great effect in the first film, but found that the second film "could not have been more different, and the score was not suitable, so I had to rewrite it". Jackman said of his work on the film, "it’s 50% production and all the tricks I’ve learnt from spending years in the record industry but then it’s also got the kind of injection of symphonic, thematic, heroic music that all kind of merges into one musical, and hopefully coherent piece". He described the film as aesthetically "way closer to something like Dark Knight Rises than it is to say the Richard Donner's Superman, or the traditional, nostalgic superhero film." Some of Silvestri's work from the first film is tracked into the opening of the sequel, which Jackman said "reminds everyone where we left off. This character is about to get hurled into a completely different environment, so it’s a nice way to tie the two films together." Jackman first created three pieces of music for directors Anthony and Joe Russo: a modern Captain America theme; a six-to-seven minute suite for the Winter Soldier; and a track representing Hydra. Concerning Captain America, Jackman struggled to balance having "enough theme so that you’ve got something heroic to cling onto, but not so much that it’s just becoming nostalgic and irrelevant", and stated that in the third act "the more melodic, the more lyrical, the more thematic element [starts] to come through". The one note Feige gave Jackman on the score was asking him to embrace "those moments that are emotional or historical or nostalgic", such as when the character visits his own Smithsonian exhibit. For those, Jackman took some inspiration from the works of Aaron Copland. Jackman described the Winter Soldier as "a mechanized, violent, relentless, nihilistic beast that just destroys everything in its path", so approaching the character in a Wagnerian way would be "inappropriate ... instead [I decided] to embrace it and start exploiting all these other tricks I've learned in working in the record industry and making drum and bass records." In the Winter Soldier suite, "the strings only show up for the last minute. It is violent—it's got screaming and banging and it's dystopian and dysfunctional. Much closer to a modern electronic thing than anything orchestral." Jackman spent ten days just processing vocal recordings to give the theme a sense of "tortured, time-stretched human cries of someone who has been so processed that it's become mechanized at the same time but you can still hear the human in there". He also tried to give the piece an arc, where the human elements get more "revealed toward the end of the film" as Captain America and the audience come to learn who the Winter Soldier is and care about him. When Jackman played the suite for the directors, they loved the unique and non-film music sound, and asked that Jackman not sanitize or water it down for the film—Joe said, "I really want to hear that in the movie and not just 20% of" it. For Hydra, Jackman wanted to move away from the "Wagnerian symphonic baddie music" of the first film, and "come up with a sinister tonality that didn’t feel like the muhahahaha of an arch villain, because the sinister nature of the neo-fascist within the film is modern, credible and politically contemporary." Jackman also introduces a motif for the Falcon. As he did on his previous films, director James Gunn brought his composer Tyler Bates onto Guardians of the Galaxy in pre-production so Bates could write music ahead of time for Gunn to film to. Gunn provided material such as "pre-video sequences" for Bates to use while writing the music, and then "during action scenes and huge dramatic moments we blare the score on set so that the cast, crew, and camera can move in harmony with the music. Music is often an afterthought in film, but never for us." Bates then re-wrote most of the score once the film was being edited. Bates found the score to be his "most demanding", and explained that "at least half the cues in the movie have more than 500 tracks of audio", consisting of multiple orchestral passes, choirs, overdubs, and other instrumentation. On working in with all of the songs that Gunn put in the film's soundtrack, Bates said, "The music is literally a different personality in the movie, has a different function than the songs. It exists more, not only to be propulsive in the action sequences and to set up some of the comedic moments, but really to underscore the emotional depth of the characters." Bates said on using themes and motifs in the score, "Very few movies that are made these days are fantastical enough to sustain huge, bold identifiable themes. Even with the majority of the comic-book films, they have a tendency to be steeped in a realism that would be disturbed or interrupted by highly emotive, melodic themes, and it seems like a lot of the stuff going in these films is propulsive and somewhat cold emotionally." He felt that Guardians of the Galaxy did not fit this model, and "unabashedly embraced leitmotifs for the array of cosmic characters" that appear in it. Bates described creating a new main theme for a Marvel franchise as "the most rewarding aspect of stepping into a movie like this". Gunn asked for "something kickass that a 4-year-old would remember", and Bates came up with the theme by "noodling" on an electric guitar. The villain Ronan's theme is quoted in full only once in the film, as Bates and Gunn wanted him to be more serious and scary which they felt would be undermined by a loud, melodic theme. His presence is generally represented with tones "chock full of low-brass" and synths. Bates has "some spongy synthesizers pulsing through" the motif for Groot, which he developed in pre-production. Bates said that he would have infused the score with more of those electronic elements if it was not for the "frenetic working process" on the film. After scoring both Iron Man 3 and Thor: The Dark World, Brian Tyler was rumored for several months to be scoring The Avengers sequel Avengers: Age of Ultron, before officially signing on to the film in March 2014. He said that his template for the film was game changing scores such as those for Star Wars, Superman, and Raiders of the Lost Ark, feeling that "You have to build in nostalgia and do it upfront so you can relate to it." In February 2015, Danny Elfman was revealed to have composed additional music for the score, ultimately receiving co-composer credit. On working with Elfman, Tyler said, "The movie is such a large canvas that there were parts that really benefited from his kind of voice. But also, it needed to all fit together and hang together seamlessly, and that was something we worked really hard on doing." Tyler and Elfman strove to orchestrate, record, and mix their music similarly. Tyler wrote much more quiet and emotional music for Age of Ultron "than you would've thought ... you can go deeper in a second movie because in the first movie you really have to set everyone up". He gave Hulk's farewell to Black Widow, Quicksilver's sacrifice, and the time spent at Hawkeye's farm as examples of this. Tyler stated that his usual approach to taking over a franchise from another composer is to "try to take from what's before me and also forge ahead". So, though Tyler "was really married to" the idea of reprising Silvestri's Avengers theme from the first film in the sequel and wanted to keep in-line with "the language of what Alan had done in The Avengers", he instead began by composing a "classic, epic" suite of his own for the film. Titled "Rise Together", Tyler said that it "is much more about pageantry and a march, and there's a slight militaristic aspect. I tend to stay away from that, but I felt that that, combined with a choir, would make them feel larger than life. And certainly, this is when they're 'rising together,' so you need to have that unifying heroic theme with them." Elfman then took Silvestri's theme and "pulled it into" the new material for the sequel to make a "kind of a hybrid" theme for the film. Tyler also looked to reference his own Iron Man and Thor themes in the score, as well as previous Captain America material, "in order to create a similar musical universe", especially since those character's post-Avengers solo films "set up" Age of Ultron. Tyler composed several other new themes for the film, to represent the titular villain Ultron; the relationship that develops between Black Widow and the Hulk; and the new Avenger Vision. Tyler wanted Ultron's theme to sound "almost heroic", since Ultron thinks he is saving the world, "but dissonant and tweaky enough" to reflect that "he doesn't quite have it right" and is still a villain. The melody is simple so that it is easy to remember, but starts flat by one note to make the theme sound slightly "off", is played on two pianos with one of them out of tune, and when the main phrase is repeated the last note is played "ahead by a beat" the second time; "not only out of tune, but out of time." The theme also features an artificially distorted guitar to give it a machine-like tone. Tyler described the Black Widow/Hulk relationship as an "unrequited romance and this kind of sad situation" with "the curse of the Hulk being a barrier between [the two characters] and what they really want. And so that melody, that had to be almost like a lullaby, but broken." Tyler wrote the "lullaby" to be understated, and it is often played on piano or cello. For the Vision's theme, Tyler "wanted to go for something that was underneath and delicate, and had kind of a wispy nature to it, in a sense—and almost towards the romantic". He tried to reflect the character's role as a messianic figure of sorts, and Ultron's intended redemption for Earth, and said, "you don’t really know what side he’s on. You have this guy who’s literally two minutes old and is born in this movie with this knowledge of humanity. It’s Machiavellian in a way." The theme is an adagio that is "not your typical bombast, look how muscley this guy is; it’s more of a mystery." To represent the character's youth and questions about himself, it features string glissandos that constantly change between chords during his introduction, and often momentarily settle on uncertain notes and sounds. Tyler constantly instructed the orchestra to play quieter, "trying to say more with less for Vision". The music for the visions that the Scarlet Witch gives the Avengers pays homage to scores from the 1950s, with Tyler using a "randomly played" vibraphone and strings such as a harp to create a "dreaminess" and "hypnotic effect". Steven Price was announced as the composer for Ant-Man by director Edgar Wright, who he had previously worked with, in February 2014, but they both left the film that March. In January 2015, Christophe Beck was hired to score the film, having previously worked with the new director, Peyton Reed. Beck and Reed began experimenting with "high concept" electronic music to create a "glitched out, digital, electronic, skittery score" that could represent the insect and technology aspects of the film, but it was ultimately "too weird and quirky ... almost weird for its own sake". Feige asked that they instead take "the classic symphonic approach with big themes and bold brass", which Beck did with the unique twist of "a sneaky sense of fun since it is, after all, not only a superhero movie, but also a heist comedy." That heist genre gave Beck "a little latitude to use a rhythm section and something a little bit more funky and jazzy and groovy that I wouldn’t otherwise have been able to get away with." Beck composed two main themes for the film: the Ant-Man superhero theme and a theme for family. In addition to using the traditional brass for the Ant-Man theme, Beck used an alto flute and violas, which he felt had "a little bit of the sound world of the heist movie and the spy movie, the old James Bond sound." For a sequence where Ant-Man surfs down a water pipe on a raft made of ants, Beck began arranging the theme as a "regular action cue" but found it "a little too intense for the scene". Reed wanted it to have more of a sense of fun, and Beck eventually wrote a piece evoking the "classic guitar surf music", but with the orchestra rather than a guitar. The family theme represents the film's two father-daughter relationships, between Scott Lang and his daughter Cassie, and between Hank Pym and his daughter Hope van Dyne. Beck also intended for it to "signify the emergence of Hope as something of a hero herself". Additionally, the villainous Yellowjacket has "a more traditional theme, presented in traditional fashion, but augmented with processed electronics to convey the crazed and obsessed nature of the character". Of the many ant species featured in the film, Reed and Beck felt that the bullet ants deserved their "own identity"; since the species is primarily indigenous to South America, Beck used ancient Aztec drums and tribal flutes to give them a "regional flavor". For a scene where Ant-Man infiltrates the Avengers headquarters, Beck quotes Silvestri's Avengers theme and Jackman's Falcon motif from Winter Soldier. The Russo brothers confirmed in August 2014 that Jackman would return to score Captain America: Civil War. In July 2015, Jackman noted the industrial elements of his Winter Soldier suite from the previous film was an indication of what the new score would sound like, but did caution that "it's just a jumping off point since the Russos are looking for something new—similar with a twist." Once Jackman read the script for the film, he realized that the "movie tonally was so different to the second one ... it’s sort of half Captain America, half an Avengers film in a way" and so Jackman ultimately wrote a much more symphonic and orchestral score than he did for Winter Soldier. This culminates in the final fight between Captain America, Winter Soldier, and Iron Man, the music for which Jackman described as "somewhat operatic and ... almost classical in its style ... some of the harmony and the orchestration really does get quite classical." Concerning the central conflict of the film, Jackman found that he was in "constant danger of tipping it too much" and pushing the audience to one side or the other, so he composed a new main theme for the film to represent that Civil War, which he called "a generic theme to balance everything out", and "a narrative theme toward which all the characters can gravitate. It wrapped them all up and it helped to bind the movie together rather than do endless disparate themes." The second major theme in the film is a thriller theme, that appears whenever the central mystery surrounding several character's pasts and Zemo's plan is teased or explored. It consists of a flute motif tied to the Winter Soldier's Russian handlers and a rising adagio that represents Zemo's twisted determination, and was inspired by the works of Jerry Goldsmith. Of the character themes from previous films that Jackman did use, "where appropriate", he evolved them to fit the tone and style of the new score. Captain America's theme could not be too prominent or heroic, as that would suggest that he was the hero of the film when the Russos were trying to create an ambiguity surrounding the main conflict—this does change throughout the film though, becoming more heroic when Captain America "turns out to be right all along". For the Winter Soldier, Jackman took a "rising string rhyme" that was buried underneath "the chaos and the industrial stuff" in the end of the character's suite from The Winter Soldier, and developed that into a much more symphonic theme for the character, in keeping with his much more human portrayal in this film. Jackman also wrote motifs for the major characters introduced in the film: Spider-Man, Black Panther, and Zemo. Spider-Man's motif has a small arc to match that character's few appearances, being introduced very gently as the "somewhat confused, slightly tender" Peter Parker first appears, followed by "the seed of his heroism" when he is recruited for the Avengers, and finally a "full-blown version" plays when he fights alongside the other heroes. For Black Panther, Jackman used a combination of African woodwind instruments whenever the character talks about his ancestors, while muted trombones "brought his character into the grandeur of the symphony orchestra, but there’s a slightly vengeful, serrated sound to muted trombones if you pick the right kind of mood". Zemo's personal theme was performed on "a lot of these rather unusual tuned bells" that gave him an "otherly sound", as well as a cimbalon to represent his Eastern European roots. Having known Kevin Feige for some time, Michael Giacchino spent years working with him on potentially scoring one of Marvel's films. When he heard of development on Doctor Strange, Giacchino was particularly interested in working on the film, feeling that it would have more of an independent film feel than other Marvel films. He contacted Feige, "and that ball just rolled very quickly downhill, and I was on" the film. Giacchino revealed his involvement with Doctor Strange in May 2016. Director Scott Derrickson called the score "magic in the literal sense of the word" and said that Giacchino "is doing what good scorers do, which is he is not just creating music that supports the images, he's adding a third thing to the movie. It becomes something new with his music in there that it didn't have with temp music." For the score, Giacchino felt no pressure to align his music with the style or tone of previous MCU films, and "in fact they encouraged me to go in my direction, so there were never any handcuffs put on me." In regards to the title character, Giacchino felt the key "was getting inside of him—not worrying so much about the magic stuff, more just thinking about who he was as a person, what he lost and then how that loss affected him. For me it's a very sad story, and a lot of the music has this very melancholy feel to it." To particularly differentiate the score, and help create a "mystical mood", Giacchino used a harpsichord and an electric sitar. Bates was confirmed to be returning for the second Guardians film, Guardians of the Galaxy Vol. 2, in August 2015, and began composing by that December for Gunn to once again film to. On using this technique again on the sequel, Bates said, "We’ve gone even further down that road ... I would rather establish the DNA of our music prior to post-production when everything’s so frenetic so that we can work on themes and establish melodies that are original to the film." While promoting Doctor Strange in early November 2016, Feige accidentally revealed that Giacchino would be returning to compose the score for Spider-Man: Homecoming. Giacchino soon confirmed this himself. By August 2016, Mark Mothersbaugh was set to score the third Thor film. Wanting to put a "personal stamp" on Black Panther and differentiate it from other MCU films, director Ryan Coogler looked to bring back several of his previous collaborators to work on the film, including composer Ludwig Göransson, whom he had worked with on Fruitvale Station and Creed. Silvestri announced in June 2016 that he would be returning to score Avengers: Infinity War. In June 2017, Reed confirmed that Beck would be returning to score Ant-Man and the Wasp. In June 2018, Pinar Toprak announced that she would score Captain Marvel, the first female composer for the MCU. Silvestri announced in June 2016 that he would be returning to score Avengers: Endgame. In October 2018, Giacchino was confirmed to return to score Spider-Man: Far From Home. Marvel's first two Marvel One-Shot short films, The Consultant and A Funny Thing Happened on the Way to Thor's Hammer, were both scored by DJ Paul Oakenfold. The third One-Shot, Item 47, had a bigger scope and budget than the previous shorts. Marvel approached Christopher Lennertz to provide a "big and fun and funny" score; Lennertz described the One-Shots as "a little quirkier than the movies, in terms of making sure that they’re fast and they usually have a little bit more of a comedic bent to it". Lennertz' score for the short is "rock-based", with a lot of electronics and guitars. For the opening bank robbery, "We had a big twangy low guitar theme, almost like a Jack White kind of a thing on guitar". At the end of the short, when money 'rains down', Lennertz paid homage to Ennio Morricone with vocals in a "classic spoofy" way. Lennertz, who returned to score the One-Shot, and D'Esposito, the director, wanted a more traditional, orchestral score for Agent Carter, with D'Esposito wanting to balance the period setting and modern Marvel superhero feel. D'Esposito referenced Johnny Rivers' "Secret Agent Man", "even though it was in the 60's" as inspiration. Lennertz felt D'Esposito "did a terrific job getting that [feeling with the One-Shot] and reaching that" while having "a James Bond secret agent sentiment to it too." To create the score, Lennertz "put together a big band, combined it with an orchestra, and added modern electronic and dub-step elements", to represent the 40s setting, the Marvel feeling, and the advanced technology, respectively. With All Hail the King serving as a spin-off/sequel to Iron Man 3, many crew members from the film worked on the short alongside returning actor Ben Kingsley, including composer Brian Tyler. He described his music for All Hail the King—which features a title sequence inspired by Dr. No, Charade, and Iron Monkey, as well as other exploitation films "ranging from obscure Kung Fu to funky Italian Horror"—as "retro vibed". 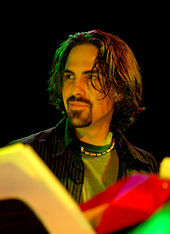 For Marvel's first television series set in the MCU, the Whedon-created Agents of S.H.I.E.L.D., frequent genre television series composer Bear McCreary signed on to compose the score. "The series centers on the behind-the-scenes people, their heroism and their quirks," McCreary explained, "As such, the music I wrote is heroic and, at times, quirky and offbeat." McCreary spoke at length with Whedon "about the challenge of creating a score that is big enough in its orchestral presence that it feels cinematic and feels at home in the Marvel Cinematic Universe. It also must capture the intimate human characteristics that define this series. In editorial, it became clear that simply tracking in typical big 'superhero movie' music wasn’t going to work. So Joss helped guide me to find a sound that lives a little in both worlds." McCreary worked with several soloists throughout the series, including Oingo Boingo guitarist Steve Bartek; vocalist Raya Yarbrough; composer Jeremy Zuckerman playing the gu zheng for "Girl in the Flower Dress"; and cellist Eric Buyers for when "the cellist" character Audrey performs in "The Only Light in the Darkness". In addition to his orchestral music for the series, McCreary intertwined "these intricate symphonic layers ... with complex synthesizer programming, giving the score a modern edge." He described this programming as "clean", with "warm, round tones, built from simple sine waves with rudimentary reverb, delay and filters added for personality." With the second season, McCreary permanently expanded the brass section and "thinned out" the woodwinds section to give the orchestra "more weight in the lower frequencies", matching the darker look and tone of the season. He also cut back on his use of electric guitar, which was often used for Skye before she became an official agent; McCreary felt that "a common instrument that stood out from the epic orchestral texture associated with our true S.H.I.E.L.D. agents" had felt more natural for the then "lovable hacker, a relatable outsider from our world". He also evolved his synthesizer use, making them "mangled under heavy distortion, mutilated beneath waves of noise". After the introduction of the Inhumans, McCreary expanded the sound of the score "in a big way" for the third season, adding larger percussion, and many more trombones than previously, which required the recording space to be reconfigured. For "Maveth", McCreary used a 90-piece orchestra rather than the series' typical 50 or 70 players. McCreary saw his main theme for the series, which also represents the central team of agents, as primarily being a theme for Phil Coulson. McCreary noted that "in one of the movies that would be inappropriate. You wouldn't do that for Coulson when Thor or Captain America are in the same story. But here Coulson is the hero ... It's all about him." McCreary initially wrote the theme in F major, "giving it a very triumphant sound", with one instance in the pilot diminishing it to F minor. Executive producer Jed Whedon "astutely pointed out that the minor version was more satisfying than the major version", and so McCreary 'tweaked' the theme permanently into F minor. ABC and Marvel allowed McCreary to use a full symphonic orchestra for every episode, and so there is "a full section of brass that's pounding out his theme when he comes out in his heroic moments." McCreary had to work harder than usual to make the theme heard, given that the show does not have a traditional title sequence. To accompany the main theme, McCreary wrote an ostinato "that doesn’t draw as much attention to itself as a full-blown melody. I use this catchy little riff to build up steam before sweeping statements of the Main Theme." Mike Peterson's theme is most commonly performed on a solo electric guitar—McCreary felt that "the image of a single guitar player trying to hold his own against a 90-piece orchestra is a nice metaphor for how Mike must feel"—which is "consumed by distorted synthesizers and low brass" whenever the darker or more unstable sides of the character's superpowers are shown. McCreary also introduced a theme for the mysterious Centipede group in the pilot. "To imply the centipede-nature of the theme," McCreary "used ten notes, divided into two groups of 5. Played on delicate bells and de-tuned piano, the percussive nature of the notes evokes two rows of tiny insect feet crawling across a string." This theme also comes to represent the group's leader, the Clairvoyant. The emotional bond between the central characters is represented by "The Agents" theme, a much more intimate and accessible idea than the main theme. McCreary described the theme as unfolding "essentially like a pop-song, with a simple A-B-A-A structure". The Skye theme is most clearly heard in emotional moments dealing with that character's backstory, but also appears in many other variations, including brief, romantic statements to highlight her early relationship with Grant Ward. Fitz and Simmons' theme is " less melodic than the other themes, and more motivic. It’s essentially an ostinato that rolls over itself again and again, evolving into subtly different variations with each turn through the pattern. This musically emulates their speaking pattern, where they are constantly stumbling over one another and saying the same thing in slightly different ways." "The Hub" introduces the audience (and Skye) to "Big S.H.I.E.L.D. ", as opposed to Coulson's small team, which McCreary gave its own, more militaristic theme. The theme for John Garrett has two parts, an ostinato and a melody, and "represents his adventurous personality, designed to be fun, bouncy and as far away from ominous as possible". The episode "Turn, Turn, Turn" reveals to the series' characters that Hydra has infiltrated S.H.I.E.L.D. For much of the episode, they believe that Agent Victoria Hand, who was introduced in "The Hub", is a Hydra agent, and so the Big S.H.I.E.L.D. theme functions as the series' Hydra theme. Once John Garrett is revealed to be the traitor, and the Clairvoyant, the Centipede became the new Hydra theme, though McCreary continued to use his Garrett theme rather than outright replace it with the Hydra theme as Bill Paxton's "performance after being revealed as the Clairvoyant is even more fun and energetic. So, his theme still fits him perfectly, it just shows us a different side of his personality." With the second season came new Hydra characters, and their new MacGuffin, the Obelisk, for which McCreary wanted to use a Hydra theme. Feeling that his previous themes had become too complicated during the first season, and were too tied to that season's narrative, McCreary composed a new Hydra theme, which "in true bad-guy-theme fashion ... is constructed from distantly related minor chords, and contains lots of close intervals." McCreary created his own theme for the Tesseract, "an ominous melodic line that shifts between two distantly related minor chords", and for Asgard, "like an old fanfare, a melody that capture[s] the majesty of Asgardian nobility" though it is generally performed as a "smaller version" since the series is still "rooted in reality". However, when Peggy Carter makes guest appearances on the series through flashbacks, McCreary quotes Christopher Lennertz's Agent Carter theme. McCreary said on this, "I was excited for the opportunity to incorporate his music into my S.H.I.E.L.D. score, because it further cements the Marvel [Cinematic] Universe together as a coherent whole ... Chris was thrilled and sent me his scores for reference." In June 2014, after a television series extension of the One-Shot Agent Carter was ordered by ABC, the short's composer Christopher Lennertz talked about the possibility of him being involved with the series saying Louis D'Esposito, the One-Shot director also involved with the series, wanted Lennertz involved, before officially signing on to compose for the series that September. On his music for the series, Lennertz said, "I get to mix a lot of things that don’t often get to go together in terms of period, music, jazz, trumpet, mixed with orchestra, mixed with electronics and brushes on a drum set and things." He researched "what was going on between '46 and 1950 and what it was that would be part of that era ... I knew Count Basie. I knew Glenn Miller, all those things were happening at the time, but then we also figured out that it was sort of changing from big band to smaller jazz ensembles." This led to Lennertz focusing a lot on trumpets for Peggy Carter's sound, "which makes a lot of sense because it’s also very sneaky, and it lends itself to espionage and that kind of thing". Lennertz introduced a folk choral piece performed by a Russian men's choir during "The Iron Ceiling". John Paesano sought out the composer role for the first Marvel/Netflix series, Daredevil, after he had previously worked with showrunner Steven S. DeKnight on a proof of concept. After successfully auditioning for the job, Paesano joined the series several weeks into post-production, and had to provide around 25–30 minutes of music per episode. He averaged "around an episode every four or five days". DeKnight "had a very clear vision of what he wanted. He wanted to really keep the show grounded and he wanted to make it feel real and not so fantastical like some of the other Marvel properties were. He wanted music you could feel and not necessarily hear. We cut the score to be minimalistic." Once Daredevil gets his superhero costume at the end of the first season, "the music starts to change color and we start to get more in to that Marvel universe." Due to his schedule and the style of the score, Paesano ultimately used mostly electronic sounds and music, but did try to add acoustic instruments, such as cellos, where possible to have more of a hybrid sound, often using these in non-traditional ways. Instead of more traditional percussion, Paesano used a low pulse throughout the series, emulating a heartbeat since the titular character often listens to people's heartbeats with his heightened senses. Paesano took inspiration from James Newton Howard's Michael Clayton score for the series' lawyer-oriented scenes. On returning for the series' second season, with new showrunners Douglas Petrie and Marco Ramirez (who had worked with DeKnight on the first season), Paesano felt that the two "really were true to what we were trying to do" with the first season, but the score still changed to reflect the new elements of season two "that we had to acknowledge. Obviously we have two characters being introduced, we have the Punisher and Elektra, and they both have their own backstories, their own interactions with Matt Murdock, so there are way more branches in this season than there were last season ... we just had to broaden the score to handle some of these different stories." Paesano continued, "even though there are these new stories, it’s still in the same Hell’s Kitchen atmosphere that we’re creating. So there’s definitely differences, but it’s not like we all of the sudden went into John Williams territory ... it’s definitely a very grounded show but it definitely jumps up a couple levels." Paesano worked closely with the series' sound design team, spotting episodes with them to coordinate where "we were going to hit what" and "maintain that definable aspect of New York" and its sound. For his audition, Paesano created a demo which included a simple piano motif. Though this material would usually not be used in the final score, in this instance Paesano took the motif and converted it into a main theme for the series, which becomes the theme for Daredevil in the show. The final theme was co-composed by Braden Kimball. The first episode ends with a montage that the editors originally temped with a song, but DeKnight wanted to use original music instead. Paesano subsequently wrote a more "songish" version of the main theme for the sequence, with a basic verse-chorus-verse structure, and instrumentation such as guitars and a drum kit to retain the feel and energy of the originally chosen song. Besides the main theme, Paesano tended to focus more on "a feel and a tone and a sound" rather than Star Wars-style motifs and "heavy, thematic, melodic elements". The approach for villain Wilson Fisk was to juxtapose "this big bullish threatening character" with "light and sparse and elegant" classical music. For when his "evil twisted side" shows through, Paesano "took classical pieces of music and I twisted them up and played them backwards or redid some of the harmony or put them through distortion and created a classical vibe but really mangled and twisted". For Stick, Paesano used a cello bow on the neck of the cello, a technique called col legno, to replicate the sound of the blind man's cane. Paesano described his "themes" for Punisher and Elektra in the second season as "angry" and "mystical" sounding, respectively. At a San Diego Comic-Con panel in 2015, Sean Callery revealed that he would be composing the score for Jessica Jones. The series' showrunner, Melissa Rosenberg, asked for Callery based on his work for Homeland, which she felt sounded like it could serve Jessica Jones well. However, Callery's music for the latter ultimately became "something so completely and wonderfully different" once he started exploring the tone and "color" of Jessica Jones. Callery found that the more intimate and organic his music, the more it "clicked with the series". To match the series' psychological thriller and neo-noir tone, Callery used a "smaller ensemble, it's almost like a jazz score, but there's some very weird, gooey sound design elements that kind of come in". Callery was influenced by the style and works of Bill Evans for the score. Rosenberg often asked Callery to have the music "do less", such as when he scored a fight sequence as a big, percussive superhero scene, and Rosenberg felt that even then the series should feel intimate; she suggested Callery just use a regular drum kit for the fights instead. Callery's assistant Jamie Forsyth also contributed to the music for the series. Callery did not begin composing the series' main theme until after reading two or three scripts, and did not see the opening graphics until after the second episode, at which point he had "a framework for a theme that [he] hoped would work". At this time, Callery said he started "fooling around" with ideas for the theme, and eventually settled on one that he felt had a "sneaky and fun" quality, adding, Jessica Jones "has dry humor, a real edge to her. But there was something to this character that had a little whisker of playfulness in there, like a cat or something." After creating the theme, Callery expanded it, adding a "fun" rhythmic quality, and eventually fully orchestrating it to include a piano, which he played himself, as well as instruments such as the acoustic bass, and additional sound design. Regarding the electric guitar's entrance, Callery pointed out that it got "bigger there because as I looked at the graphics, the lights got a little more strobe-y. So that's when I decided the electric guitar might be a kind of neat add there so that the whole piece will arc a little more." Jessica Jones has several personal themes that Callery "wove throughout the series", which he found to be most effective when played on solo instruments—"Whether they were guitar or solo piano, we always found that when the textures and the orchestration were minimal, soloistic, and expressive it just hit the right tone." One theme for the character represents "a light inside of her that is untouched by the cruelties that have befallen her. I stopped short of saying that it’s a happy theme, but it’s about her untouched pure self that she can trust in and is truly hers; it’s one of compassion and of caring." Another is more inline with her outward appearance and personality, which Callery described as tough and resilient, and "something that she totally owns". For the villainous Kilgrave, who is not seen in some of the series' early episodes, Callery "had to suggest his presence without actually seeing him. So initially he had a moody tone to him, which eventually started morphing into a darker theme" as the character physically appears and begins to play a larger role in the series. In April 2016, showrunner Cheo Hodari Coker revealed that Adrian Younge and Ali Shaheed Muhammad were composing the music for Luke Cage, with "a '90s hip-hop vibe". Coker had contacted Younge and Muhammad separately, asking if they would like to work together on the series, not knowing that the pair were already working together on an album. Younge and Muhammad composed the score as if they were creating 13 albums, one for each episode, with the music inspired by Wu-Tang Clan, Ennio Morricone, and Muhammad's group A Tribe Called Quest. Muhammad felt that the music was "about getting that hip-hop foundation and making sure those drums were as big as day", while Younge said, "we wanted to make something great. Not just for black people or minorities, just something great that just happens to be based on our culture." The duo composed around twenty minutes of music for each episode, composing the entire season's score in nine months. Younge and Muhammad looked at all of the different sounds of Harlem, including hip-hop, jazz, blues, and psychedelic rock, to give each character "their own theme and their own sound" that was all still representative of the culture. For Luke Cage specifically, Coker noted that he is a character who understands the roots of the modern culture, and understands where modern Harlem and hip-hop sensibilities originated, so Younge and Muhammad looked to the beginnings of modern hip-hop for his sound. For Cage's more dramatic or emotional moments, vocalist Loren Oden was used as "kind of like [Cage's] inner voice". For the character of Diamondback, opera singer Brooke deRosa, whom Younge had often worked with before, was used. To reflect the character Cottonmouth's status in the series as a musician who primarily plays the Fender Rhodes, the composers "pretty much exclusively use Fender Rhodes keyboards for him. That is who he is." The most difficult episode for the composers was the fourth, which features flashbacks to Cage's time in prison. They felt that the episode's temp music was "all over the place, and it didn’t feel cohesive", and were unsure whether to illustrate the idea of an incarcerated black man using "old slave-blues-type" music, to go with a "Bernard Herrmann–Alfred Hitchcock-type scary vibe", or to stick with "straight hip-hop, '90s stuff". Younge offered that there was "some intense thinking, but it wasn’t necessarily difficult to execute once we figured it out." Trevor Morris was revealed to be composing the music for the first season of Iron Fist in late October 2016. The producers of the series wanted a "modern" sounding score, so Morris focused on synthesizer sounds and made a rule that traditional orchestral instruments, such as strings and horns, would not be used for the series. He said that by "taking those heavy-hitters off the table, it leaves you to find a unique way to solve these problems. That sound is also very fashionable right now, which I think is great." Some of the synthesizer sounds were intended to acknowledge the title character's childhood iPod on which he listens to music from the 1990s. In terms of Asian influences on the score, Morris attempted to use several instruments to represent Asian culture, particularly for scenes set in a dojo or featuring Kung Fu, but "the producers didn’t like it. They thought it was too traditional." He ultimately used some Japanese flutes throughout the show, but after they were "heavily affected" digitally. Robert Lydecker replaced Morris as composer for the second season. In February 2017, Paesano was announced as returning to compose for the miniseries The Defenders. At the 2017 San Diego Comic-Con, Loeb announced Sean Callery as the composer for Inhumans. In April 2017, Tyler Bates was announced as the composer for The Punisher. In May 2017, Siddhartha Khosla was hired to compose the music for Runaways. Mark Isham announced in May 2017 that he would compose the music for Cloak & Dagger. After Marvel Entertainment was bought by the Walt Disney Company and Marvel Studios became its "own entity", without other companies working with them as distribution companies, the studio commissioned a new production logo for their films and television series starting with Thor: The Dark World, the first film to feature solely the Marvel logo. Feige explained that "We didn’t want to re-invent the wheel [from the previous logo], but we wanted it to feel bigger, to feel more substantial, [and] like all great studio logos, you need a fanfare, and we’d never had that before." Therefore, Marvel commissioned Brian Tyler, who had just scored Iron Man 3 and The Dark World for them, to compose a new "spectacular" fanfare to accompany the logo. When approaching the fanfare, Tyler looked not just at the films, but "Marvel as a whole...going all the way back from The Human Torch through" the comics. Because "there was very little time for the listener or the viewer to really hone in on what's there musically", Tyler "needed something that could be played a little bit more simply as a melody. Then all the orchestration—you know, I wrote these string lines that are actually, have kind of a fantastical, more complex nature to it. That just supports a melody that is more of a whistler." Marvel agreed with this approach and worked with Tyler to hone the orchestration; "as the graphics were being done we really wanted to hit little moments with some sparkly shimmer and get it more specific." The main melody remained unchanged from Tyler's initial composition. In July 2016, Marvel introduced a new logo focusing on the film studio and featuring imagery from the MCU, rather than Marvel in general and its history in comic books. To accompany the new logo, first seen on Doctor Strange, Michael Giacchino, the composer for Doctor Strange, composed a new Marvel Studios fanfare. For Spider-Man: Homecoming, the fanfare introduced with Doctor Strange was replaced by "Theme from Spider-Man (Original Television Series)", Giacchino's version of the theme from the 1967 cartoon series. Tyler composed for Marvel Studios once again in March 2014, by providing the music for the television special Marvel Studios: Assembling a Universe. In February 2016, a commercial for Coca-Cola mini cans starring Ant-Man and the Hulk aired during Super Bowl 50. It was created through a partnership with Marvel, and directed by the Russo brothers. The ad was scored by Ant-Man composer Christophe Beck and Jeff Morrow, who had contributed additional material to Ant-Man. "Make Way For Tomorrow, Today"
Iron Man 2 introduces the 1974 Stark Expo, based on the 1964 New York World's Fair. Richard M. Sherman, who wrote many Disney songs with his brother Robert, wrote the original song "Make Way For Tomorrow, Today" to serve as the in-universe theme for the Stark Expo. Sherman described Howard Stark, the character who created the Expo, as "a cross between Walt Disney and Howard Hughes", noting that Disney was himself involved in the creation of the 1964 World's Fair. He continued, "The filmmakers wanted a Disney-esque song to be the theme song of the Stark Expo," admitting that the song was inspired by his own "There's a Great Big Beautiful Tomorrow", which was written for the Carousel of Progress attraction that Disney created for the World's Fair. "Make Way For Tomorrow, Today" is heard again in Captain America: The First Avenger, when an earlier version of the Stark Expo appears, with Sherman noting of the reprisal, "different style, same song". Captain America: The First Avenger features a montage of the titular character and a chorus line touring the U.S., performing a song-and-dance number to the patriotic song "Star Spangled Man". The song was written for the film by Alan Menken and lyricist David Zippel, and recorded by the Metro Voices. Menken had wanted to provide the score for the film as well, but was unable to due to scheduling conflicts, so they wrote the song before the film began principal photography (a process Menken would use on an animated film), and hoped that it would mesh with Alan Silvestri's score. Menken said the song "screamed out for Irving Berlin, in the sense of "This Is The Army, Mr. Jones" or "God Bless America". It should be patriotic and it should be fun. The goal was to come up with orchestration that felt authentic to the ‘40s, USO [experience]." Christopher Lennertz conducted a new arrangement of the song for the first season of Agent Carter, where it is used as the theme music of a 1940s Captain America radio drama. "Theme from Caged Heat 1985"
For All Hail the King, Drew Pearce created a fictional CBS 1980s television pilot titled Caged Heat (starring Ben Kingsley's Trevor Slattery character), and Feige encouraged him "to go off. The whole purpose of Trevor is to go off the rails." Feige and Marvel subsequently suggested that Pearce create a full title sequence for the pilot. Feige's love of film soundtracks "started when I had a little tape recorder and I would tape the themes to Simon and Simon and The A-Team and play it back, and those were all Mike Post", so Pearce contacted Post about using one of his old themes for the sequence. Because Post had sold the rights to all of the themes he had written, and felt that none of them fit the "Russian Magnum P.I." tone that Pearce was aiming for anyway, he offered to write a new theme specifically for the project. Post recorded the theme music on the same equipment he used for his iconic 1980s series' themes. "Watcha Gonna Do (It's Up to You)"
The Agent Carter episode "A Little Song and Dance" begins with a dream sequence that begins in black and white, before transitioning to color in "true Wizard of Oz fashion" for a Broadway-style dance number featuring an original song from composer Christopher Lennertz and lyricist David Zippel, in conjunction with series executive producers Tara Butters and Michele Fazekas. Titled "Watcha Gonna Do (It's Up to You)", the song was performed by actors Enver Gjokaj and Hayley Atwell. On working with Zippel, Lennertz said, "It was such a thrill to collaborate on a song with David. His musical style blended well with the jazzy musical tone we were going for, especially on this episode." The first season of Luke Cage sees Method Man make a guest appearance in the episode "Soliloquy of Chaos", in which he witnesses the heroics of the title character. The artist then goes on to make an original rap song in the episode titled "Bulletproof Love", which he performs himself. The actual track was arranged by the series' composers, Adrian Younge and Ali Shaheed Muhammad, for Method Man, and includes much of the socio-political commentary that showrunner Cheo Hodari Coker wished to convey throughout the series. It is accompanied in the episode by a montage of "black men walking the streets in Cage’s signature 'bulletproof' hoodie". Guardians of the Galaxy Vol. 2 features an original song in the film's credits. Co-written by the film's writer and director James Gunn and score composer Tyler Bates, it was "meant as a sort of Guardians take on Meco's disco Star Wars theme ["Star Wars Theme/Cantina Band"]." David Hasselhoff was chosen as the vocalist because he is one of Peter Quill's childhood heroes, and Gunn was a fan of Hasselhoff when he starred on Knight Rider. "I Want Your Cray Cray"
In a flashback during the second season of Jessica Jones, former child star Trish Walker is shown to have had a brief pop-star career, during which she released a song titled "I Want Your Cray Cray". Performed by Rachael Taylor, who portrays Walker in the series, and Kandi Marks, the song was described as "sufficiently addictive" by Taylor, who noted that the sequence was explaining why Walker is "going in a number of different directions ... She's been made to feel in her life that she was not respected. She was [a drug] addict. It emotionally explains a lot about what season two is". In July 2016, Luke Cage showrunner Cheo Hodari Coker revealed plans for a vinyl soundtrack album for the series, to be produced by composers Adrian Younge and Ali Shaheed Muhammad. The vinyl release was made available from Mondo on October 7, 2016, pressed on yellow vinyl and with collectible artwork by Matthew Woodson. On October 8, Mondo announced that its entire initial pressing of the release had already been sold out, with further orders to begin shipping in late November. On November 7, vinyl releases for the soundtracks to Daredevil season one and Jessica Jones season one were announced by Mondo, pressed on red and purple vinyl, respectively. Each release was limited to 3000 copies, also comes with collectible artwork by Woodson, and was made available on November 9 both online and at the Alamo Drafthouse Cinema in Brooklyn, New York. The latter is "the first theater in the Alamo Drafthouse chain to include a permanent record rack inside the theater’s bar where select Mondo vinyl releases will be available on the same day they are released online." To celebrate the release of the new soundtracks, Mondo held an event at the House of Wax bar in Brooklyn on November 9, selling copies of all three albums to a live DJ set by Younge. Additionally, Mondo released posters of Woodson's art on November 10, screen prints "featuring a layer of spot varnish to bring different elements of the illustration to life." Mondo released the Iron Fist season one soundtrack on both green and black vinyl on August 18, 2017. The release once again included original art by Woodson, which was additionally released as a poster. Director Jon Favreau had used songs from hard rock band AC/DC in the first Iron Man film, and had been inspired at an AC/DC concert to introduce Iron Man in the sequel during a concert-like event. Favreau said on the band, "What’s fun about them is they were the full-on real deal of heavy metal when I was in high school. They were as real deal as it got. They made some people nervous—people questioned whether they were devil worshipers or not. And now these days they put on the same show...and there’s a sense of humor about the whole thing....there’s even a strange gentleness to the music to me now, even though at the time it was as edgy as you get. It’s celebrating immaturity and youth" in a similar way to the character of Tony Stark. In January 2010, Marvel announced that AC/DC's music would be featured heavily in Iron Man 2 in a collaboration with Columbia Records, who released a soundtrack album for the film featuring 15 classic AC/DC songs. In February 2014, director James Gunn revealed that Guardians of the Galaxy would incorporate songs from the 1960s and 1970s, such as "Hooked on a Feeling", on a mixtape in protagonist Peter Quill's Walkman, which acts as a way for him to stay connected to the Earth, home, and family he lost. When choosing the songs, Gunn read the Billboard charts for all of the top hits of the 1970s, downloading "a few hundred" songs that were "semi-familiar—ones you recognize but might not be able to name off the top of your head" and creating a playlist for all the songs that would fit the film tonally. Gunn then chose the songs for the film by listening to the playlist and being "inspired to create a scene around a song", or by having "a scene that needed music and I would listen through the playlist, visualizing various songs, figuring out which would work the best." Many of the chosen songs were played on set to help "the actors and the camera operators find the perfect groove for the shot", with David Bowie's "Moonage Daydream" the only song chosen and added during post-production. In addition to the Awesome Mix Vol. 1 album, Hollywood Records released a cassette version of the soundtrack on November 28, 2014, as an exclusive to Record Store Day participants. The cassette was the first from Disney Music Group since 2003. Gunn said he felt "a little pressure" in creating the Awesome Mix Vol. 2 mixtape for Guardians of the Galaxy Vol. 2 "because so many people loved [the first film's soundtrack] and we went platinum and all that other stuff. But I feel like the soundtrack in the second one is better," with all of the songs chosen and built into the script by June 2015. In January 2016, Gunn revealed that he had chosen an additional Bowie song to appear in the film, but had cut the original scene it was featured in. The inclusion would have made Bowie the only artist to be featured on both mixtapes. With Bowie's death that month, Gunn hoped to find a way to include the chosen song elsewhere in the film as a "fair and appropriate" way to honor him, as Bowie was one of Gunn's idols. Gunn described the soundtrack as "more diverse" than that for the first Guardians, which had "a bunch of songs that maybe you heard but didn’t know the name of the song–you didn’t know the name of the singer. In this one, we have some really incredibly famous songs and then some songs that people have never heard." Kendrick Lamar produced and curated Black Panther: The Album. Kendrick Lamar produced the film's curated soundtrack, along with Top Dawg Entertainment founder Anthony Tiffith. It was the first MCU soundtrack to "integrate multiple original recordings created specifically for the film". Black Panther: The Album was released on February 9, 2018. AC/DC: Iron Man 2 debuted on the Billboard 200 chart at number four. On February 14, 2012, the album was certified Gold by the RIAA, for selling over 500,000 copies. In August 2014, Guardians of the Galaxy: Awesome Mix Vol. 1 had reached the top of the Billboard 200 chart in its second week of release, becoming the first soundtrack album in history consisting entirely of previously released songs to top the chart. Eight weeks after its release in September 2014, Awesome Mix Vol. 1 was certified Gold by the RIAA, and in January 2015, it was certified Platinum for selling over 1 million copies. Awesome Mix Vol. 1 also peaked at number one on the Billboard Top Soundtracks, Billboard Top Rock Albums, and Billboard Top Digital Albums charts. In October 2014, John Coggin looked back on the music of the Marvel Cinematic Universe so far for International Policy Digest. He felt that the music was a major failing of the shared universe, especially in comparison to other major franchises such as Star Wars and The Lord of the Rings, because of a lack of "strong fanfares" for the films' heroes and a lack of continuity between the different scores. He felt that Patrick Doyle's Thor was the best in terms of "thematic strength and unity", while other films did not develop their own musical themes in a memorable way, and found it "remarkable" that Brian Tyler completely discarded all of Doyle's themes. Coggin ended his piece by noting that the MCU was "still young", and "in time, Marvel can and should develop bolder themes for its individual heroes. It should establish some thematic continuity between films." Emily Asher-Perrin, writing for Tor.com, discussed the issue of musical continuity further. She pointed out how continuity between films was such an important aspect of the MCU for Marvel, and therefore found it confusing that the "same consistency wasn’t applied to their soundtracks". Raising numerous examples of other franchises recalling thematic material to great effect, Asher-Perrin opined that the lack of continuity in the scores was not only "off-putting", but a missed opportunity for Marvel and the cohesiveness of the franchise. Alan Silvestri's "Captain America March" (0:00 - 0:17) and "The Avengers" (0:17 - 0:33) are considered some of the more memorable themes from the MCU. Christian Clemmenson of Filmtracks.com agreed that the scores for the Marvel films "always struggled to form any kind of cohesive identity". He felt that Silvestri had been the most successful composer at creating memorable themes, and saw Tyler's work for Iron Man 3 and Thor: The Dark World as strong in establishing an appropriate tone for the franchise by "combining the masculinity of the Hans Zimmer blockbuster expectations from the studio with the Jerry Goldsmith rhythmic flair that actually (still) works". Clemmenson did criticize Tyler's work on The Dark World for his "inexplicable" replacing of Doyle's themes with his own "generic" ones, and subsequently praised the composer's efforts on Avengers: Age of Ultron to maintain the sound that he previously established while reusing Silvestri's previous themes as well as his own. He also highlighted the way that Danny Elfman adapted and evolved Silvestri's Avengers theme for that film, "rather than simply arranging it for regurgitation". Despite this praise, Clemmenson ultimately only called the Age of Ultron score "functional", and felt that the way the music was edited and used in the film was "an absolute mess", an issue he saw with many of the MCU scores. At Flickering Myth, Simon Columb responded to a description of Tyler's scores for Iron Man 3 and Thor: The Dark World as "alright" with an opinion piece titled "The Forgettable Soundtrack to Marvel’s Movies". He argued that film music is such a "core element" that the scores deserve more criticism than a dismissive "alright"; he felt that all MCU scores were "consistently below par ... the soundtracks have always felt unclear, confused and inconsistent." He also touched on the lack of continuity, lamenting the missed opportunity to "use the themes and music to carve out a consistent harmonic atmosphere". /Film's Jacob Hall focused on the quality of the MCU's music, describing it as "the musical equivalent of vanilla pudding. No single MCU movie features identifiable music and that’s a shame." Hall hoped that the hiring of Michael Giacchino, whom he called "one of the most talented and celebrated modern composers of music for film and television", and the rehiring of Silvestri, who he felt had composed the only memorable and recognizable theme with his "Captain America March", during Marvel's Phase Three slate of films would change this trend, particularly hoping that Giacchino could "bring some much-needed magic to the MCU". In September 2016, the YouTube channel Every Frame a Painting, which analyzes films and the filmmaking process, posted a video essay discussing the music of the MCU. The video also highlights the lack of memorability for general audience members compared to franchises such as Star Wars and James Bond, and proposes several reasons for why this is: the tendency for the music to be background noise, or to be "hidden" behind other sounds such as voiceovers; how it closely reflects the events on screen, and so does not stand out or surprise the audience; and how it is often similar to other music, which the video blames on the temp process and filmmakers editing the film to the temp music before bringing in the composer, or asking composers to imitate the temp tracks. Saying that the music is not bad, just "bland and inoffensive", the video states that Marvel could improve their music by simply taking more risks with it, like putting more emphasis on the music without any other sound effects, or mismatching it with the visuals—for example, playing "emotional" music during an otherwise "humorous" scene to give more impact to the underlying feelings of the characters rather than their surface actions. ^ a b c Larson, Randall (July 22, 2010). "Of Superheroes and Predators: John Debney Returns to Sci-Fi". Cinefantastique. Archived from the original on June 13, 2016. Retrieved June 13, 2016. ^ a b c d e "Ramin Djawadi: Compositore di Iron Man". Comicus. April 6, 2008. Archived from the original on June 9, 2016. Retrieved June 10, 2016. ^ a b Weedon, Paul (October 17, 2013). "Ramin Djawadi on Game Of Thrones, Iron Man, Pacific Rim". Den of Geek. Archived from the original on June 9, 2016. Retrieved June 10, 2016. ^ "RAGE AGAINST THE MACHINE Guitarist Faces 'Iron Man'". BlabberMouth.net. May 6, 2008. Archived from the original on March 10, 2014. Retrieved June 10, 2016. ^ Boston, Rick. "Iron Man Theme by John O'Brien and Rick Boston". Rick Boston Artist Musician. Archived from the original on June 9, 2016. Retrieved June 10, 2016. ^ Koppl, Rudy (July 9, 2008). "Director Louis Leterrier - Opening the Mind's Eye". Music from the Movies. Archived from the original on July 9, 2008. Retrieved July 9, 2008. ^ a b Koppl, Rudy (July 9, 2008). "The Incredible Hulk - Dr. Bruce Banner's Hidden Secrets". Music from the Movies. Archived from the original on July 9, 2008. Retrieved July 9, 2008. ^ Marnell, Blair (February 8, 2010). "'Iron Man 2' Score Being Recorded in London, Reports Jon Favreau". MTV. Archived from the original on June 10, 2016. Retrieved June 10, 2016. ^ a b c Shaw, Zach (March 18, 2010). "Iron Man 2 Composer John Debney Talks Film Scoring, Working With Tom Morello". Metal Insider. Archived from the original on June 10, 2016. Retrieved June 10, 2016. ^ a b "ScoreKeeper Chats With Composer John Debney About PREDATORS, IRON MAN 2, MACHETE and More!!!". Ain't It Cool News. September 10, 2010. Archived from the original on June 13, 2016. Retrieved June 13, 2016. ^ a b Schweiger, Daniel (May 3, 2011). "Interview With Composer Patrick Doyle". Film Music Magazine. Archived from the original on June 10, 2016. Retrieved June 10, 2016. ^ Chitwood, Adam (February 28, 2011). "Composer Alan Silvestri Tapped to Score CAPTAIN AMERICA: THE FIRST AVENGER". Collider. Archived from the original on June 10, 2016. Retrieved June 10, 2016. ^ a b c d e "Henry Jackman on scoring for Captain America: The Winter Soldier". CBC Music. March 17, 2014. Archived from the original on June 12, 2016. Retrieved June 12, 2016. ^ a b Schweiger, Daniel (July 14, 2011). "Interview With Composer Alan Silvestri". Film Music Magazine. Archived from the original on June 10, 2016. Retrieved June 10, 2016. ^ a b c Patches, Matt. "'Avengers' Composer Alan Silvestri: Bringing Heroes Together with Music — EXCLUSIVE". Hollywood.com. Archived from the original on June 13, 2016. Retrieved June 13, 2016. ^ a b Strom, Marc (November 16, 2011). "Alan Silvestri to Score Marvel's The Avengers". Marvel.com. Archived from the original on November 17, 2011. Retrieved November 17, 2011. ^ Weintraub, Steve (April 5, 2012). "Joss Whedon Talks The Cabin in the Woods, The Avengers, His Writing Process, Comic-Con, Collecting and More". Collider. Archived from the original on April 6, 2012. Retrieved April 6, 2012. ^ a b c Schweiger, Daniel (June 3, 2012). "Interview: THE AVENGERS composer Alan Silvestri makes the Avengers assemble". Assignment X. Archived from the original on June 9, 2012. Retrieved June 10, 2016. ^ "The Avengers - Original Score". Soundtrack.net. Archived from the original on June 10, 2016. Retrieved June 10, 2016. ^ a b c d e f Daniel Schweiger (April 29, 2013). "Audio: On The Score With Bryan Tyler". Film Music Magazine (Podcast). Retrieved June 12, 2016. ^ a b "Marvel Music/Hollywood Records Presents Marvel's Iron Man 3 Original Motion Picture Score Soundtrack Available on April 30th" (Press release). Movie Motion. April 4, 2013. Archived from the original on November 27, 2013. Retrieved June 12, 2016. ^ a b c d e Tracksounds (December 16, 2013). Interview: Brian Tyler (Thor: The Dark World). YouTube. Retrieved June 12, 2016. ^ Galloway, Stephen (March 1, 2015). "'Cinderella' Director Kenneth Branagh on Casting His Princess, Working With Marvel and His Dream Shakespeare Film". The Hollywood Reporter. Archived from the original on March 2, 2015. Retrieved March 2, 2015. ^ Belloni, Matthew (December 24, 2011). "'Game of Thrones' Director Alan Taylor Chosen for 'Thor 2'". The Hollywood Reporter. Archived from the original on December 26, 2011. Retrieved December 26, 2011. ^ "ScoreKeeper Chats All Things Scottish with 'Brave' Composer Patrick Doyle!!". Ain't It Cool News. August 29, 2012. Archived from the original on August 30, 2012. Retrieved August 30, 2012. ^ a b Lyttelton, Oliver. "Interview: Kevin Feige On 'Thor: The Dark World,' Firing Carter Burwell & Reclaiming 'X-Men' & 'Spider-Man'". IndieWire. Archived from the original on June 12, 2016. Retrieved June 12, 2016. ^ "Carter Burwell to Score 'Thor: The Dark World'". Film Music Reporter. April 19, 2013. Archived from the original on April 23, 2013. Retrieved April 23, 2013. ^ Yamato, Jen (May 28, 2013). "Composer Carter Burwell Departs Marvel's 'Thor: The Dark World'". Deadline Hollywood. Archived from the original on September 19, 2013. Retrieved May 28, 2013. ^ "Brian Tyler to Score 'Thor: The Dark World'". Film Music Reporter. June 18, 2013. Archived from the original on June 18, 2013. Retrieved June 18, 2013. ^ a b "10 Questions With Brian Tyler". Broadcast Music, Inc. December 20, 2013. Archived from the original on February 24, 2014. Retrieved February 24, 2014. ^ Schaefer, Sandy (June 20, 2013). "Brian Tyler Talks Scoring 'Thor: The Dark World' and 'Teenage Mutant Ninja Turtles'". Screen Rant. Archived from the original on June 23, 2013. Retrieved October 31, 2013. ^ a b c Rosen, Christopher (September 11, 2013). "How Brian Tyler Composed The Score For 'Thor: The Dark World'". The Huffington Post. Archived from the original on June 12, 2016. Retrieved June 12, 2016. ^ Ali, Azam (September 6, 2013). "Now that it's all done..." Facebook. Retrieved September 7, 2013. ^ Brian Tyler (July 25, 2016). Brian Tyler Conducts Thor: The Dark World (Live in London). YouTube. Retrieved July 31, 2016. ^ Marvel Entertainment (February 24, 2014). Marvel's Thor: The Dark World - Blu-ray Featurette Clip 2. YouTube. Retrieved June 12, 2016. ^ Newman, Melinda (August 12, 2014). "Interview: Composer Brian Tyler on 'TMNT,' 'Expendables 3' and 'Avengers:The Age of Ultron". HitFix. Archived from the original on June 14, 2016. Retrieved June 14, 2016. ^ "'Thor: The Dark World': Where It Saved The Day & Where It Left Us Wanting More". IndieWire. Archived from the original on June 12, 2016. Retrieved June 12, 2016. ^ a b c d Warmann, Amon (February 14, 2014). "The HeyUGuys Interview: Henry Jackman on Scoring Captain America: The Winter Soldier". HeyUGuys.co.uk. Archived from the original on February 16, 2014. Retrieved February 16, 2014. ^ McCue, Michelle (April 14, 2014). "Interview – WAMG Talks To CAPTAIN AMERICA: THE WINTER SOLDIER Composer Henry Jackman". We Are Movie Geeks. Archived from the original on June 12, 2016. Retrieved June 12, 2016. ^ a b c Roberts, Sheila (April 1, 2014). "Composer Henry Jackman Talks CAPTAIN AMERICA: THE WINTER SOLDIER, His Influences, WRECK-IT RALPH 2, THE INTERVIEW, and More". Collider. Archived from the original on June 12, 2016. Retrieved June 12, 2016. ^ Burlingame, Russ (August 19, 2014). "Captain America: The Winter Soldier Composer Henry Jackman Talks Designing Themes, and Cap's Moral Super Power". ComicBook.com. Archived from the original on June 12, 2016. Retrieved June 12, 2016. ^ a b Sciretta, Peter (July 22, 2015). "Ant-Man Easter Eggs: The Ultimate Guide to References, Trivia, Cameos and More". /Film. Archived from the original on June 13, 2016. Retrieved June 13, 2016. ^ a b Schaefer, Sandy (August 22, 2013). "James Gunn On 'Guardians of the Galaxy' Composer Tyler Bates' Approach". ScreenRant. Archived from the original on August 22, 2013. Retrieved July 10, 2014. ^ a b Newman, Melinda (August 1, 2014). "Interview: Tyler Bates on the 'relief' of finishing the 'Guardians of the Galaxy' score". HitFix. Archived from the original on June 13, 2016. Retrieved July 10, 2014. ^ a b c McCue, Michelle (July 28, 2014). "Interview – WAMG Talks To GUARDIANS OF THE GALAXY Composer Tyler Bates". We Are Movie Geeks. Archived from the original on June 13, 2016. Retrieved July 10, 2014. ^ a b c Truitt, Brian (July 22, 2014). "Tyler Bates composes for a musical Marvel 'Galaxy'". USA Today. Archived from the original on June 13, 2016. Retrieved June 13, 2016. ^ a b Christopher Coleman. "Interview: Tyler Bates (Guardians of the Galaxy)". Tracksounds (Podcast). Archived from the original on June 13, 2016. Retrieved June 13, 2016. ^ a b "Brian Tyler to Score 'Avengers: Age of Ultron'". Film Music Reporter. March 19, 2014. Archived from the original on March 19, 2014. Retrieved March 19, 2014. ^ a b Graser, Marc (July 24, 2014). "'Star Wars,' 'Superman' Inspire New 'Avengers' Score". Variety. Archived from the original on July 25, 2014. Retrieved July 24, 2014. ^ "Danny Elfman to Compose Additional Music for 'Avengers: Age of Ultron'". Film Music Reporter. February 24, 2015. Archived from the original on February 24, 2015. Retrieved February 24, 2015. ^ Strom, Marc (April 15, 2015). "Marvel's 'Avengers: Age of Ultron' Original Soundtrack Available Digitally April 28". Marvel.com. Archived from the original on June 13, 2016. Retrieved June 14, 2016. ^ a b c d e f Lanz, Michelle; Roe, Mike (May 2, 2015). "'Avengers: Age of Ultron,' 'Furious 7' composer Brian Tyler explains the secrets of iconic themes". KPCC. Archived from the original on June 14, 2016. Retrieved June 14, 2016. ^ a b c d e Daniel Schweiger (April 20, 2015). "Audio: On the Score with Brian Tyler". Film Music Magazine (Podcast). Retrieved June 14, 2016. ^ a b c d e Niles, Jon (June 12, 2015). "Composer Brian Tyler Talks 'Furious 7' & 'Avengers: Age of Ultron' Scores, Franchise Movies' Music & More [EXCLUSIVE Q&A]". Music Times. Archived from the original on June 14, 2016. Retrieved June 14, 2016. ^ 891 ABC Adelaide (March 12, 2015). "891 ABC Adelaide Danny Elfman" (Podcast). SoundCloud. Event occurs at 0:09:13. Archived from the original on March 13, 2015. Retrieved March 13, 2015. ^ Hrishikesh Hirway (May 28, 2015). "Episode 39: Bryan Tyler – Avengers: Age of Ultron" (Podcast). Song Exploder. Archived from the original on June 14, 2016. Retrieved June 14, 2016. ^ a b Ratcliffe, Amy (April 5, 2016). "Avengers, Guardians, and Iron Man Composers Discuss Creating Superhero Music". Nerdist. Archived from the original on June 14, 2016. Retrieved June 14, 2016. ^ Goldberg, Matt (February 16, 2014). "Bill Pope to Handle Cinematography for ANT-MAN; GRAVITY Composer Steven Price to Write the Score". Collider. Archived from the original on February 17, 2014. Retrieved February 16, 2014. ^ "The ANT-MAN Director Derby Narrows (Again) To Two New Finalists!". Ain't It Cool News. June 6, 2014. Archived from the original on June 15, 2014. Retrieved June 15, 2014. ^ a b c Roberts, Sheila (July 18, 2015). "Composer Christophe Beck Talks ANT-MAN, SISTERS and THE PEANUTS MOVIE". Collider. Archived from the original on June 14, 2016. Retrieved June 14, 2016. ^ a b c Schweiger, Daniel (July 14, 2015). "Interview with Christophe Beck". Film Music Magazine. Archived from the original on June 14, 2016. Retrieved June 14, 2016. ^ a b c Roberts, Shelia (May 10, 2016). "'Captain America: Civil War' Composer Henry Jackman on the Process of Scoring a Marvel Movie". Collider. Archived from the original on May 11, 2016. Retrieved May 11, 2016. ^ a b Minow, Nell. "Interview: Henry Jackman, Composer for "Captain America: Civil War"". beliefnet. Archived from the original on June 15, 2016. Retrieved June 15, 2016. ^ "Settling the Score: Music of Captain America: Civil War". D23. May 10, 2016. Archived from the original on June 15, 2016. Retrieved June 15, 2016. ^ a b Bond, Jeff (December 18, 2016). "'Rogue One' Composer on Filling John Williams' Shoes, Pleasing Marvel Franchise Fans". The Hollywood Reporter. Archived from the original on April 22, 2017. Retrieved April 22, 2017. ^ Michael Giacchino [@@m_giacchino] (May 5, 2016). "Things are about to get, well... really STRANGE. @scottderrickson @Marvel" (Tweet). Archived from the original on May 6, 2016. Retrieved May 5, 2016 – via Twitter. ^ Foutch, Haleigh (July 27, 2016). "'Doctor Strange': Scott Derrickson Says Benedict Cumberbatch is Killing It with Test Audiences". Collider. Archived from the original on July 28, 2016. Retrieved July 28, 2016. ^ Burlingame, John (January 4, 2017). "Michael Giacchino Caps a Busy Year With 'Rogue One' Score". Variety. Archived from the original on April 22, 2017. Retrieved April 22, 2017. ^ Damore, Meagan (December 4, 2015). "James Gunn Pushes For More Gamora Merchandise, Talks "Guardians Vol 2"". Comic Book Resources. Archived from the original on December 5, 2015. Retrieved December 4, 2015. ^ Elderkin, Beth (November 6, 2016). "Michael Giacchino Confirms He's Scoring Spider-Man: Homecoming". io9. Archived from the original on November 6, 2016. Retrieved November 7, 2016. ^ Gonzalez, Umberto (August 22, 2016). "'Thor: Ragnarok': Devo's Mark Mothersbaugh to Compose Score (Exclusive)". TheWrap. Archived from the original on August 22, 2016. Retrieved August 22, 2016. ^ Buchanan, Kyle (April 18, 2017). "You're Not Ready for Black Panther's Stunning New Spin on Superhero Movies". Vulture. Archived from the original on April 18, 2017. Retrieved April 18, 2017. ^ a b Burlingame, Russ (June 6, 2016). "Avengers Composer Alan Silvestri To Return For Infinity War". Comicbook.com. Archived from the original on June 7, 2016. Retrieved June 6, 2016. ^ Burton, Byron (June 14, 2018). "'Captain Marvel' Enlists Pinar Toprak as Composer". The Hollywood Reporter. Archived from the original on June 15, 2018. Retrieved June 14, 2018. ^ Strom, Marc (August 2, 2011). "Marvel One-Shots: Expanding the Cinematic Universe". Marvel.com. Archived from the original on April 29, 2014. Retrieved September 26, 2011. ^ a b c Larson, Randall (July 13, 2014). "Soundtrax: Episode 2014-4". BuySoundtrax. Archived from the original on June 13, 2016. Retrieved June 14, 2016. ^ Anderson, Kyle (September 24, 2014). "Marvel's Louis D'Esposito Talks Agent Carter". Nerdist. Archived from the original on November 27, 2014. Retrieved November 27, 2014. ^ a b c Gallagher, Brian. "Marvel Previews Marvel One-Shot: All Hail the King". Movie Web. Archived from the original on June 13, 2016. Retrieved June 13, 2016. ^ Brian Tyler [@@BrianTylerMusic] (February 10, 2014). "Check out my retro vibed score in "All Hail The King" from @Marvel w/ Sir Ben Kingsley reprising his IronMan 3 role!" (Tweet). Archived from the original on June 13, 2016. Retrieved June 14, 2016 – via Twitter. ^ "All Hail the King". Perception. Archived from the original on June 13, 2016. Retrieved June 14, 2016. ^ Boucher, Geoff (July 15, 2013). "'Agents of SHIELD': Clark Gregg's 'commanding presence' calls the tune for composer Bear McCreary". Entertainment Weekly. Archived from the original on September 10, 2014. Retrieved July 15, 2013. ^ a b c d e f McCreary, Bear (September 24, 2013). "Agents of S.H.I.E.L.D. – Pilot". Archived from the original on August 3, 2014. Retrieved August 3, 2014. ^ Bear McCreary (January 7, 2014). Agents of S.H.I.E.L.D. - The Magical Place. YouTube. Retrieved June 22, 2016. ^ McCreary, Bear (October 22, 2013). "Agents of S.H.I.E.L.D. – The Girl in the Flower Dress". Archived from the original on September 10, 2014. Retrieved September 10, 2014. ^ McCreary, Bear (April 23, 2014). "Agents of S.H.I.E.L.D. – The Cellist". BearMcCreary.com. Archived from the original on October 5, 2015. Retrieved October 5, 2015. ^ a b c McCreary, Bear (September 24, 2014). "Agents of S.H.I.E.L.D. – Season 2 Begins". Archived from the original on September 27, 2014. Retrieved September 27, 2014. ^ McCreary, Bear (September 28, 2015). "Agents of S.H.I.E.L.D. – Season 3 Begins". Archived from the original on October 2, 2015. Retrieved October 2, 2015. ^ McCreary, Bear (December 9, 2015). "Agents of S.H.I.E.L.D. – Maveth". BearMcCreay.com. Archived from the original on January 24, 2016. Retrieved January 24, 2016. ^ a b c Kates, Rachael (July 30, 2013). "Bear McCreary on composing for Marvel's Agents Of S.H.I.E.L.D., The Walking Dead & more..." Den of Geek. Archived from the original on August 3, 2014. Retrieved August 3, 2014. ^ a b McCreary, Bear (April 9, 2014). "Agents of S.H.I.E.L.D. – Turn, Turn, Turn". BearMcCreary.com. Archived from the original on June 22, 2016. Retrieved June 22, 2016. ^ a b McCreary, Bear (October 1, 2013). "Agents of S.H.I.E.L.D. – 0-8-4". Archived from the original on September 1, 2014. Retrieved July 8, 2014. ^ McCreary, Bear (October 8, 2013). "Agents of S.H.I.E.L.D. – The Asset". Archived from the original on September 3, 2014. Retrieved September 3, 2014. ^ a b McCreary, Bear (November 6, 2013). "Agents of S.H.I.E.L.D. – FZZT". Archived from the original on September 14, 2014. Retrieved September 14, 2014. ^ McCreary, Bear (November 13, 2013). "Agents of S.H.I.E.L.D. – The Hub". Archived from the original on September 15, 2014. Retrieved September 15, 2014. ^ McCreary, Bear (November 19, 2013). "Agents of S.H.I.E.L.D. – The Well". BearMcCreary.com. Archived from the original on October 25, 2014. Retrieved October 25, 2014. ^ Burlingame, Russ (June 21, 2014). "Agent Carter One-Shot Composer Likely Headed to the TV Series". Comicbook.com. Archived from the original on September 27, 2014. Retrieved September 27, 2014. ^ "Christopher Lennertz to Score Marvel's 'Agent Carter' TV Series". Film Music Reporter. September 4, 2014. Archived from the original on September 27, 2014. Retrieved September 27, 2014. ^ a b Huver, Scott (February 23, 2015). "'Agent Carter' Composer Christopher Lennertz on Big Music & Peggy's 'Bravado'". Comic Book Resources. Archived from the original on February 24, 2015. Retrieved February 23, 2015. ^ D'Alessandro, Anthony (May 21, 2015). "'Agent Carter' Composer Christopher Lennertz On Crafting His Marvel-ous Spy Score". Deadline Hollywood. Archived from the original on October 6, 2015. Retrieved October 6, 2015. ^ a b c Weedon, Paul (April 28, 2015). "Interview: John Paesano". Films on Wax. Archived from the original on May 1, 2015. Retrieved May 1, 2015. ^ a b c "Sci Fi Fidelity Bonus: Daredevil Season 2" (Podcast). Sci Fi Fidelity. March 17, 2016. Archived from the original on June 22, 2016. Retrieved June 22, 2016. ^ Rozeman, Mark (April 6, 2016). "Devil's in the Details: Daredevil Composer John Paesano on Scoring Hell's Kitchen". Paste. Archived from the original on June 22, 2016. Retrieved June 22, 2016. ^ Page, Aubrey (March 22, 2016). "'Daredevil' Season 2: Composer John Paesano on Creating the Punisher's Theme". Collider. Archived from the original on March 23, 2016. Retrieved June 1, 2016. ^ "DAREDEVIL Music from the Original Series". Apple Inc. April 27, 2015. Archived from the original on May 1, 2015. Retrieved May 1, 2015. ^ a b NeverWanderer (March 21, 2016). "Interview: 'Daredevil' Season 2 Composer John Paesano". Geeks of Doom. Archived from the original on June 22, 2016. Retrieved June 22, 2016. ^ SCNS Live (March 18, 2016). Interview with Composer John Paesano Composer for Daredevil. YouTube. Retrieved June 22, 2016. ^ "Sean Callery to Score Marvel's 'Jessica Jones'". Film Music Reporter. July 10, 2015. Archived from the original on September 14, 2015. Retrieved September 14, 2015. ^ a b c GoldDerby (May 24, 2016). Composer Sean Callery talks "Homeland," "Jessica Jones," "24," and more. YouTube. Retrieved June 22, 2016. ^ Marvel Entertainment (December 13, 2015). Sean Callery on Composing the Score - Marvel's Jessica Jones Red Carpet. YouTube. Retrieved June 22, 2016. ^ Couto, Anthony (June 6, 2016). "Comic Reel: Wan Hypes "Aquaman" Villains; Marvel Releases "Jessica Jones" Soundtrack". Comic Book Resources. Archived from the original on June 6, 2016. Retrieved June 6, 2016. ^ Composing Music for ‘Homeland’ and ‘Jessica Jones’. Variety. Archived from the original on April 1, 2016. Retrieved March 31, 2016. ^ Larson, Randall (April 11, 2016). "Soundtrax: Episode 2016-3". Buysoundtrax. Archived from the original on August 29, 2016. Retrieved July 10, 2016. ^ Nolfi, Joey (April 13, 2016). "Luke Cage producer compares Netflix's new Marvel series to The Wire". Entertainment Weekly. Archived from the original on April 13, 2016. Retrieved April 13, 2016. ^ a b Josephs, Brian (October 3, 2016). "Q&A: Ali Shaheed Muhammad and Adrian Younge on Crafting Luke Cage's Harlem-Rooted, Wu-Tang-Influenced Soundtrack". SPIN. Archived from the original on October 19, 2016. Retrieved October 19, 2016. ^ Matthews, Liam (August 31, 2016). "Go Inside the Music of Marvel's Luke Cage". TV Guide. Archived from the original on September 1, 2016. Retrieved September 1, 2016. ^ a b Han, Angie (August 31, 2016). "'Luke Cage' Featurette Digs Into the Show's Hip-Hop Influences, With Help From Method Man and A$AP Ferg". /Film. Archived from the original on September 1, 2016. Retrieved September 1, 2016. ^ Grosinger, Matt (August 31, 2016). "The Music In Luke Cage Is Going To Be Hip-Hop Perfection". Nerdist. Archived from the original on September 1, 2016. Retrieved September 1, 2016. ^ Ian Freeman. Composers For Hire: Ali Shaheed Muhammad & Adrian Younge Talk Giving Luke Cage A Beat He Can Bump To. The Urban Daily. Retrieved October 19, 2016. ^ Giles, Matthew (October 4, 2016). "The Musicians Behind Luke Cage on Creating a 'Timeless' Sound and the Lack of Opportunities for Black Composers". Vulture. Archived from the original on October 19, 2016. Retrieved October 19, 2016. ^ "Trevor Morris to Score Marvel's Netflix Series 'Iron Fist'". Film Music Reporter. October 27, 2016. Archived from the original on October 27, 2016. ^ Moye, Clarence (March 22, 2017). "'Iron Fist,' 'Emerald City' Composer Trevor Morris Scores The Yellow Brick Road". Awards Daily. Archived from the original on April 22, 2017. Retrieved April 22, 2017. ^ "Alumnus Robert Lydecker scores second season of "Iron Fist"". USC Thornton School of Music. September 11, 2018. Archived from the original on October 4, 2018. Retrieved October 4, 2018. ^ "John Paesano to Score Marvel's Netflix Series 'The Defenders'". Film Music Reporter. February 6, 2017. Archived from the original on February 7, 2017. Retrieved February 7, 2017. ^ "Sean Callery to Score Marvel's 'Inhumans'". Film Music Reporter. July 21, 2017. Archived from the original on July 21, 2017. Retrieved July 21, 2017. ^ "Tyler Bates to Score Marvel's Netflix Series 'The Punisher'". Film Music Reporter. April 21, 2017. Archived from the original on April 22, 2017. Retrieved April 22, 2017. ^ "Siddhartha Khosla to Score Marvel's 'Runaways'". Film Music Reporter. May 12, 2017. Archived from the original on May 13, 2017. Retrieved May 13, 2017. ^ "Mark Isham to Score Freeform's Marvel Series 'Cloak & Dagger'". Film Music Reporter. May 12, 2017. Archived from the original on May 13, 2017. Retrieved May 13, 2017. ^ "Introducing the New Marvel Studios Logo". Marvel.com. November 12, 2013. Archived from the original on June 12, 2016. Retrieved November 13, 2013. ^ Perry, Spencer (November 8, 2013). "Exclusive Interview: Thor: The Dark World Composer Brian Tyler". SuperHeroHype.com. Archived from the original on June 12, 2016. Retrieved June 12, 2016. ^ Goldberg, Matt (July 24, 2016). "Watch: Marvel Studios Debuts New Logo with Fanfare by Michael Giacchino". Collider. Archived from the original on July 25, 2016. Retrieved July 30, 2016. ^ Dyce, Andrew (July 8, 2017). "Spider-Man: Homecoming Easter Eggs & Marvel Secrets". Screen Rant. Archived from the original on July 8, 2017. Retrieved July 8, 2017. ^ "A Mini Marvel". Luma Pictures. Archived from the original on February 9, 2016. Retrieved February 8, 2016. ^ Warmann, Amon (February 8, 2016). "Ant-Man and Hulk fight over Coca-Cola in Super Bowl commercial". Games Radar. Archived from the original on June 14, 2016. Retrieved June 14, 2016. ^ a b Marnell, Blair (April 23, 2010). "Jon Favreau Explains the History of Stark Expo in 'Iron Man 2'". MTV. Archived from the original on June 8, 2016. Retrieved June 8, 2016. ^ a b Epstein, Jeffrey (May 10, 2010). "Richard Sherman is a Marvel". D23. Archived from the original on May 14, 2010. Retrieved June 8, 2016. ^ a b Newman, Melinda (July 21, 2011). "Interview: Oscar-winning composer Alan Menken talks 'Captain America'". HitFix. Archived from the original on June 8, 2016. Retrieved June 8, 2016. ^ "Alan Menken creates a CAPTAIN AMERICA theme song for CAPTAIN AMERICA: FIRST AVENGER?!?!?!?!". Ain't It Cool News. July 13, 2011. Archived from the original on June 8, 2016. Retrieved June 8, 2016. ^ a b Campbell, Josie (February 25, 2016). "Pearce, Kingsley Discuss "All Hail the King," Share New "Winter Soldier" Footage". Comic Book Resources. Archived from the original on June 13, 2016. Retrieved June 13, 2016. ^ Abrams, Natalie (December 24, 2015). "Agent Carter: Lyndsy Fonseca to return for dreamy DWTS crossover". Entertainment Weekly. Archived from the original on December 24, 2015. Retrieved December 24, 2015. ^ a b "'Whatcha Gonna Do (It's Up to You)' from 'Agent Carter' Released". Film Music Reporter. March 18, 2016. Archived from the original on June 8, 2016. Retrieved June 8, 2016. ^ "Composer Christopher Lennertz Collaborates with Tony Winner David Zippel for 'Marvel's Agent Carter' Original Song". Marvel.com. February 24, 2016. Archived from the original on June 13, 2016. Retrieved June 13, 2016. ^ a b Schwartz, Terri (September 30, 2016). "Marvel's Luke Cage Episode 12: "Soliloquy of Chaos" Review". IGN. Archived from the original on September 30, 2016. Retrieved October 19, 2016. ^ a b Fitzpatrick, Kevin (October 2, 2016). "'Luke Cage' Releases Method Man's 'Bulletproof Love' Track". Screen Crush. Archived from the original on October 18, 2016. Retrieved October 19, 2016. ^ a b Hiatt, Brian (April 19, 2017). "Inside the 'Guardians of the Galaxy Vol. 2' Soundtrack". Rolling Stone. Archived from the original on April 19, 2017. Retrieved April 19, 2017. ^ Seemayer, Zach (April 19, 2017). "EXCLUSIVE: David Hasselhoff Dishes on Singing 'Guardians of the Galaxy Vol. 2' Track: 'It's More Like a Rap'". Entertainment Tonight. Archived from the original on April 21, 2017. Retrieved April 21, 2017. ^ filmmusicreporter (March 15, 2018). "Soundtrack Album for 'Jessica Jones' Season 2 to Be Released". Film Music Reporter. Archived from the original on March 16, 2018. Retrieved March 17, 2018. ^ Wigler, Josh (March 12, 2018). "'Jessica Jones' Star on Season 2's Powerful Finale: "She Really Wants to Save the World"". The Hollywood Reporter. Archived from the original on March 16, 2018. Retrieved March 17, 2018. ^ Lincoln, Ross A. (July 27, 2016). "'Luke Cage' Showrunner On Filming Netflix Show: "I Didn't Want To Speak Harlem And Say Harlem Without Seeing Harlem" – TCA". Deadline Hollywood. Archived from the original on July 29, 2016. Retrieved July 28, 2016. ^ Osborn, Alex (October 6, 2016). "Luke Cage Soundtrack Coming On Yellow Vinyl From Mondo". IGN. Archived from the original on October 7, 2016. Retrieved October 6, 2016. ^ "Marvel's LUKE CAGE Original Soundtrack 2XLP". Mondo. October 6, 2016. Archived from the original on November 9, 2016. Retrieved November 10, 2016. ^ MONDO [@@MondoNews] (October 8, 2016). "Wow! Due to the demand on @LukeCage, we've gone through our initial pressing! Orders placed after this Tweet will ship late November" (Tweet). Archived from the original on November 1, 2016. Retrieved November 1, 2016 – via Twitter. ^ "DAREDEVIL and JESSICA JONES Original Soundtracks!". Mondo. November 7, 2016. Archived from the original on November 10, 2016. Retrieved November 10, 2016. ^ "New Poster Release: DAREDEVIL, JESSICA JONES & LUKE CAGE by Matthew Woodson". Mondo. November 9, 2016. Archived from the original on November 10, 2016. Retrieved November 10, 2016. ^ "New Release: IRON FIST Soundtrack LP and Poster!". Mondo. August 17, 2017. Archived from the original on October 21, 2017. Retrieved October 22, 2017. ^ Boucher, Geoff (April 19, 2010). "'Iron Man 2' shoots to thrill with AC/DC". Hero Complex. Archived from the original on June 8, 2016. Retrieved June 8, 2016. ^ "AC/DC Powers Up Iron Man 2 Soundtrack". Marvel.com. January 26, 2010. Archived from the original on June 8, 2016. Retrieved June 8, 2016. ^ Ashurst, Sam (February 19, 2014). "Guardians of the Galaxy: James Gunn's Trailer Breakdown: Star Lord's Walkman". Total Film. Archived from the original on February 19, 2014. Retrieved February 19, 2014. ^ Suskind, Alex (August 8, 2014). "Director James Gunn on How He Chose the Music in Guardians of the Galaxy". Vulture. New York. Archived from the original on September 19, 2014. Retrieved September 19, 2014. ^ Caulfield, Keith (October 20, 2014). "Exclusive: 'Guardians' Soundtrack To Be Released On Cassette Tape". Billboard. Archived from the original on October 21, 2014. Retrieved October 21, 2014. ^ Keyes, Rob (June 3, 2015). "'Guardians of the Galaxy 2′ Has Fewer Characters, One New". Screen Rant. Archived from the original on June 4, 2015. Retrieved June 4, 2015. ^ Sodomsky, Sam (January 4, 2018). "Kendrick Lamar Producing, Curating Black Panther Soundtrack Album". Pitchfork. Archived from the original on January 5, 2018. Retrieved January 5, 2018. ^ "Everything we know about the Marvel superhero film 'Black Panther'". USA Today. January 15, 2018. Archived from the original on January 15, 2018. Retrieved January 15, 2018. ^ a b "AC/DC's 'Iron Man 2' Among 'Favorite Soundtrack' Nominees At AMERICAN MUSIC AWARDS". BlabberMouth.net. October 12, 2010. Archived from the original on July 30, 2016. Retrieved July 30, 2016. ^ "AC/DC: 'Iron Man 2' Certified Gold In U.S." BlabberMouth.net. February 15, 2012. Archived from the original on July 30, 2016. Retrieved July 30, 2016. ^ Gilman, Greg (August 13, 2014). "'Guardians of the Galaxy' Becomes First Soundtrack in History Without New Songs to Land No. 1 Spot". The Wrap. Archived from the original on August 14, 2014. Retrieved August 13, 2014. ^ "Marvel's Guardians of the Galaxy Awesome Mix Vol. 1 is Now Certified Gold". Marvel.com. September 25, 2014. Archived from the original on July 30, 2016. Retrieved July 30, 2016. ^ "Marvel's Guardians of the Galaxy Awesome Mix Vol. 1 Soundtrack is Certified Platinum". Marvel.com. January 15, 2015. Archived from the original on July 30, 2016. Retrieved July 30, 2016. ^ Grein, Paul. "Chart Watch: J.J. Cale Tribute, 'Galaxy' Soundtrack Soar". Yahoo!. Retrieved August 7, 2014. ^ Monger, James Christopher. "Iron Man [Original Motion Picture Soundtrack]". Allmusic. Archived from the original on July 31, 2016. Retrieved July 31, 2016. ^ Clemmensen, Christian (May 25, 2008). "Iron Man". Filmtracks.com. Archived from the original on July 31, 2016. Retrieved July 31, 2016. ^ Southall, James. "Iron Man". Movie Wave. Archived from the original on July 31, 2016. Retrieved July 31, 2016. ^ Clemmensen, Christian (July 3, 2008). "The Incredible Hulk". Filmtracks.com. Archived from the original on July 31, 2016. Retrieved July 31, 2016. ^ Monger, James Christopher. "Iron Man 2". Allmusic. Archived from the original on July 31, 2016. Retrieved July 31, 2016. ^ Clemmensen, Christian (July 14, 2010). "Iron Man 2". Filmtracks.com. Archived from the original on July 31, 2016. Retrieved July 31, 2016. ^ Southall, James (August 4, 2010). "Iron Man 2". Movie Wave. Archived from the original on July 31, 2016. Retrieved July 31, 2016. ^ Tillnes, Jørn (July 20, 2010). "Soundtrack Review: Iron Man 2". Soundtrack Geek. Archived from the original on January 2, 2015. Retrieved July 31, 2016. ^ Monger, James Christopher. "Thor". Allmusic. Archived from the original on July 31, 2016. Retrieved July 31, 2016. ^ Savas, Kaya (May 3, 2011). "Thor by Patrick Doyle (Review)". Film.Music.Media. Archived from the original on July 31, 2016. Retrieved July 31, 2016. ^ Clemmensen, Christian (May 6, 2011). "Thor". Filmtracks.com. Archived from the original on July 31, 2016. Retrieved July 31, 2016. ^ Southall, James (May 5, 2011). "Thor". Movie Wave. Archived from the original on July 31, 2016. Retrieved July 31, 2016. ^ Manduteanu, Mihnea (October 2, 2014). "Soundtrack review: Thor (Patrick Doyle, 2011)". Soundtrack Dreams. Archived from the original on July 31, 2016. Retrieved July 31, 2016. ^ Tillnes, Jørn (April 25, 2011). "Soundtrack Review: Thor". Soundtrack Geek. Archived from the original on October 26, 2015. Retrieved July 31, 2016. ^ Monger, James Christopher. "Captain America: The First Avenger [Original Score]". Allmusic. Archived from the original on July 31, 2016. Retrieved July 31, 2016. ^ Clemmensen, Christian (July 26, 2011). "Captain America: The First Avenger". Filmtracks.com. Archived from the original on July 31, 2016. Retrieved July 31, 2016. ^ Southall, James (August 6, 2011). "Captain America". Movie Wave. Archived from the original on July 31, 2016. Retrieved July 31, 2016. ^ Manduteanu, Mihnea (December 6, 2014). "Soundtrack review: Captain America (Alan Silvestri – 2011)". Soundtrack Dreams. Archived from the original on July 31, 2016. Retrieved July 31, 2016. ^ Tillnes, Jørn (July 19, 2011). "Soundtrack Review: Captain America The First Avenger". Soundtrack Geek. Archived from the original on May 3, 2015. Retrieved July 31, 2016. ^ Savas, Kaya (May 7, 2012). "The Avengers by Alan Silvestri (Review)". Film.Music.Media. Archived from the original on July 31, 2016. Retrieved July 31, 2016. ^ Clemmensen, Christian (May 6, 2012). "The Avengers". Filmtracks.com. Archived from the original on July 31, 2016. Retrieved July 31, 2016. ^ Southall, James (July 29, 2012). "The Avengers". Movie Wave. Archived from the original on July 31, 2016. Retrieved July 31, 2016. ^ Manduteanu, Mihnea (December 7, 2014). "Soundtrack review: The Avengers (Alan Silvestri – 2012)". Soundtrack Dreams. Archived from the original on July 31, 2016. Retrieved July 31, 2016. ^ Tillnes, Jørn (April 23, 2012). "Soundtrack Review: The Avengers (2012)". Soundtrack Geek. Archived from the original on May 2, 2012. Retrieved July 31, 2016. ^ Collar, Matt. "Iron Man 3 [Original Motion Picture Soundtrack]". Allmusic. Archived from the original on July 31, 2016. Retrieved July 31, 2016. ^ Savas, Kaya (April 6, 2013). "Iron Man 3 by Brian Tyler (Review)". Film.Music.Media. Archived from the original on July 31, 2016. Retrieved July 31, 2016. ^ Clemmensen, Christian (May 19, 2013). "Iron Man 3". Filmtracks.com. Archived from the original on July 31, 2016. Retrieved July 31, 2016. ^ Tillnes, Jørn (April 24, 2013). "Soundtrack Review: Iron Man 3 (2013)". Soundtrack Geek. Archived from the original on November 10, 2013. Retrieved July 31, 2016. ^ a b Clemmensen, Christian (December 28, 2013). "Thor: The Dark World". Filmtracks.com. Archived from the original on July 30, 2016. Retrieved July 31, 2016. ^ Southall, James (November 7, 2013). "Thor: The Dark World". Movie Wave. Archived from the original on July 31, 2016. Retrieved July 31, 2016. ^ Manduteanu, Mihnea (October 2, 2014). "Soundtrack review: Thor – the dark world (Brian Tyler, 2013)". Soundtrack Dreams. Archived from the original on July 31, 2016. Retrieved July 31, 2016. ^ Tillnes, Jørn (December 9, 2013). "Soundtrack Review: Thor The Dark World (2013)". Soundtrack Geek. Archived from the original on November 11, 2014. Retrieved July 31, 2016. ^ Savas, Kaya (April 9, 2014). "Captain America: The Winter Soldier by Henry Jackman (Review)". Film.Music.Media. Archived from the original on July 31, 2016. Retrieved July 31, 2016. ^ Clemmensen, Christian (April 13, 2014). "Captain America: The Winter Soldier". Filmtracks.com. Archived from the original on July 31, 2016. Retrieved July 31, 2016. ^ Southall, James (March 20, 2014). "Captain America: The Winter Soldier". Movie Wave. Archived from the original on July 31, 2016. Retrieved July 31, 2016. ^ Manduteanu, Mihnea (December 31, 2014). "Soundtrack review: Captain America – The Winter Soldier (Henry Jackman – 2014)". Soundtrack Dreams. Archived from the original on July 31, 2016. Retrieved July 31, 2016. ^ Tillnes, Jørn (March 19, 2014). "Soundtrack Review: Captain America The Winter Soldier (2014)". Soundtrack Geek. Archived from the original on April 19, 2014. Retrieved July 31, 2016. ^ Erlewine, Stephen Thomas. "Guardians of the Galaxy [Original Motion Picture Soundtrack]". Allmusic. Archived from the original on July 31, 2016. Retrieved July 31, 2016. ^ Savas, Kaya (July 16, 2014). "Guardians Of The Galaxy by Tyler Bates (Review)". Film.Music.Media. Archived from the original on July 31, 2016. Retrieved July 31, 2016. ^ Clemmensen, Christian (October 19, 2014). "Guardians of the Galaxy". Filmtracks.com. Archived from the original on July 31, 2016. Retrieved July 31, 2016. ^ Southall, James (July 29, 2014). "Guardians of the Galaxy". Movie Wave. Archived from the original on July 31, 2016. Retrieved July 31, 2016. ^ Tillnes, Jørn (July 29, 2014). "Soundtrack Review: Guardians Of The Galaxy". Soundtrack Geek. Archived from the original on November 22, 2014. Retrieved July 31, 2016. ^ Mayr, Leo (May 13, 2015). "Daredevil by John Paesano (Review)". Film.Music.Media. Archived from the original on July 31, 2016. Retrieved July 31, 2016. ^ Manduteanu, Mihnea (May 11, 2015). "Soundtrack review: Daredevil (John Paesano – 2015)". Soundtrack Dreams. Archived from the original on July 31, 2016. Retrieved July 31, 2016. ^ Tillnes, Jørn (May 15, 2015). "Soundtrack Review: Daredevil (2015)". Soundtrack Geek. Archived from the original on May 8, 2015. Retrieved July 31, 2016. ^ Savas, Kaya (April 20, 2015). "Avengers: Age Of Ultron by Brian Tyler / Danny Elfman (Review)". Film.Music.Media. Archived from the original on July 31, 2016. Retrieved July 31, 2016. ^ a b c d Clemmensen, Christian (June 8, 2015). "Avengers: Age of Ultron". Filmtracks.com. Archived from the original on July 30, 2016. Retrieved July 31, 2016. ^ Southall, James (April 27, 2015). "Avengers: Age of Ultron". Movie Wave. Archived from the original on July 31, 2016. Retrieved July 31, 2016. ^ Manduteanu, Mihnea (April 21, 2015). "Soundtrack review: Avengers – Age of Ultron (Brian Tyler & Danny Elfman – 2015)". Soundtrack Dreams. Archived from the original on July 31, 2016. Retrieved July 31, 2016. ^ Tillnes, Jørn (April 22, 2015). "Soundtrack Review: Avengers Age Of Ultron". Soundtrack Geek. Archived from the original on April 25, 2015. Retrieved July 31, 2016. ^ Monger, Timothy. "Ant-Man [Original Motion Picture Soundtrack]". Allmusic. Archived from the original on July 31, 2016. Retrieved July 31, 2016. ^ Savas, Kaya (July 23, 2015). "Ant-Man by Christophe Beck (Review)". Film.Music.Media. Archived from the original on July 31, 2016. Retrieved July 31, 2016. ^ Clemmensen, Christian (October 18, 2015). "Ant-Man". Filmtracks.com. Archived from the original on July 31, 2016. Retrieved July 31, 2016. ^ Southall, James (August 6, 2015). "Ant-Man". Movie Wave. Archived from the original on July 31, 2016. Retrieved July 31, 2016. ^ Manduteanu, Mihnea (July 18, 2015). "Soundtrack review: Ant-man (Christophe Beck – 2015)". Soundtrack Dreams. Archived from the original on July 31, 2016. Retrieved July 31, 2016. ^ Tillnes, Jørn (July 17, 2015). "Soundtrack Review: Ant-Man". Soundtrack Geek. Archived from the original on July 20, 2015. Retrieved July 31, 2016. ^ Savas, Kaya (September 15, 2015). "Agents Of S.H.I.E.L.D by Bear McCreary (Review)". Film.Music.Media. Archived from the original on July 31, 2016. Retrieved July 31, 2016. ^ Manduteanu, Mihnea. "Soundtrack review: Marvel's Agents of S.H.I.E.L.D. (Bear McCreary – 2015)". Soundtrack Dreams. Archived from the original on July 31, 2016. Retrieved July 31, 2016. ^ Tillnes, Jørn (September 6, 2015). "Soundtrack Review: Marvel's Agents Of S.H.I.E.L.D." Soundtrack Geek. Archived from the original on September 10, 2015. Retrieved July 31, 2016. ^ Manduteanu, Mihnea. "Soundtrack review: Marvel's Agent Carter (Christopher Lennertz – 2015)". Soundtrack Dreams. Archived from the original on July 31, 2016. Retrieved July 31, 2016. ^ Tillnes, Jørn (December 16, 2015). "Soundtrack Review: Marvel's Agent Carter Season 1". Soundtrack Geek. Archived from the original on December 20, 2015. Retrieved July 31, 2016. ^ Donelson, Marcy. "Captain America: Civil War [Original Motion Picture Soundtrack]". Allmusic. Archived from the original on July 31, 2016. Retrieved July 31, 2016. ^ Savas, Kaya (May 10, 2016). "Captain America: Civil War by Henry Jackman (Review)". Film.Music.Media. Archived from the original on July 31, 2016. Retrieved July 31, 2016. ^ Clemmensen, Christian (May 7, 2016). "Captain America: Civil War". Filmtracks.com. Archived from the original on July 31, 2016. Retrieved July 31, 2016. ^ Southall, James (May 5, 2016). "Captain America: Civil War". Movie Wave. Archived from the original on July 31, 2016. Retrieved July 31, 2016. ^ Manduteanu, Mihnea. "Soundtrack review: Captain America Civil War (Henry Jackman – 2016)". Soundtrack Dreams. Archived from the original on July 31, 2016. Retrieved July 31, 2016. ^ Tillnes, Jørn (May 23, 2016). "Soundtrack Review: Captain America Civil War". Soundtrack Geek. Archived from the original on May 27, 2016. Retrieved July 31, 2016. ^ Manduteanu, Mihnea. "Soundtrack review: Marvel's Jessica Jones (Sean Callery – 2016)". Soundtrack Dreams. Archived from the original on July 31, 2016. Retrieved July 31, 2016. ^ Tillnes, Jørn (July 4, 2016). "Soundtrack Review: Jessica Jones". Soundtrack Geek. Archived from the original on July 7, 2016. Retrieved July 31, 2016. ^ Mayr, Leo (July 25, 2016). "Daredevil: Season 2 by John Paesano (Review)". Film.Music.Media. Archived from the original on July 31, 2016. Retrieved July 31, 2016. ^ Manduteanu, Mihnea. "Soundtrack review: Daredevil (season 2) (John Paesano – 2016)". Soundtrack Dreams. Archived from the original on July 31, 2016. Retrieved July 31, 2016. ^ Tillnes, Jørn (July 15, 2016). "Soundtrack Review: Daredevil Season 2". Soundtrack Geek. Archived from the original on July 17, 2016. Retrieved July 31, 2016. ^ Savas, Kaya (November 4, 2016). "Doctor Strange by Michael Giacchino". Film.Music.Media. Archived from the original on April 22, 2017. Retrieved April 22, 2017. ^ Clemmensen, Christian (January 20, 2017). "Doctor Strange". Filmtracks.com. Archived from the original on April 22, 2017. Retrieved April 22, 2017. ^ Southall, James (October 24, 2016). "Doctor Strange". Movie Wave. Archived from the original on April 22, 2017. Retrieved April 22, 2017. ^ Manduteanu, Mihnea. "Soundtrack review: Doctor Strange (Michael Giacchino – 2016)". Soundtrack Dreams. Archived from the original on April 22, 2017. Retrieved April 22, 2017. ^ Tillnes, Jørn (October 20, 2016). "Soundtrack Review: Doctor Strange". Soundtrack Geek. Archived from the original on October 23, 2016. Retrieved April 22, 2017. ^ Tillnes, Jørn (May 12, 2017). "Soundtrack Review: Iron Fist". Soundtrack Geek. Archived from the original on June 6, 2017. Retrieved August 27, 2017. ^ Savas, Kaya (April 21, 2017). "Guardians Of The Galaxy, Vol. 2 by Tyler Bates (Review)". Film.Music.Media. Archived from the original on August 27, 2017. Retrieved August 27, 2017. ^ Clemmensen, Christian (June 30, 2017). "Guardians of the Galaxy: Vol. 2". Filmtracks.com. Archived from the original on August 27, 2017. Retrieved August 27, 2017. ^ Southall, James (April 28, 2017). "Guardians of the Galaxy Vol. 2". Movie Wave. Archived from the original on August 27, 2017. Retrieved August 27, 2017. ^ Manduteanu, Mihnea. "Soundtrack review: Guardians of the galaxy vol. 2 (Tyler Bates – 2017)". Soundtrack Dreams. Archived from the original on August 27, 2017. Retrieved August 27, 2017. ^ Tillnes, Jørn (May 8, 2017). "Soundtrack Review: Guardians Of The Galaxy Vol. 2". Soundtrack Geek. Archived from the original on May 10, 2017. Retrieved August 27, 2017. ^ Savas, Koray (July 11, 2017). "Spider-Man: Homecoming by Michael Giacchino (Review)". Film.Music.Media. Archived from the original on August 27, 2017. Retrieved August 27, 2017. ^ Southall, James (July 2, 2017). "Spider-Man: Homecoming". Movie Wave. Archived from the original on August 27, 2017. Retrieved August 27, 2017. ^ Tillnes, Jørn (July 25, 2017). "Soundtrack Review: Spider-Man Homecoming". Soundtrack Geek. Archived from the original on August 27, 2017. Retrieved August 27, 2017. ^ Coggin, John (October 30, 2014). "Patrick Doyle: Marvel's Mightiest Film Composer". International Policy Digest. Archived from the original on July 30, 2016. Retrieved July 30, 2016. ^ Asher-Perrin, Emily (March 10, 2015). "Marvel Movies Need to Step Up Their Soundtrack Game". Tor.com. Archived from the original on July 30, 2016. Retrieved July 30, 2016. ^ a b Hall, Jacob (June 7, 2016). "Alan Silvestri Will Return to Score 'Avengers: Infinity War'". /Film. Archived from the original on July 30, 2016. Retrieved July 30, 2016. ^ Columb, Simon (March 23, 2014). "The Forgettable Soundtrack to Marvel's Movies". Flickering Myth. Archived from the original on July 30, 2016. Retrieved July 30, 2016. ^ Hall, Jacob (May 6, 2016). "'Doctor Strange' Summons Composer Michael Giacchino". /Film. Archived from the original on July 30, 2016. Retrieved July 30, 2016. ^ Every Frame a Painting (September 12, 2016). The Marvel Symphonic Universe. YouTube. Retrieved September 13, 2016. ^ Clemmensen, Christian. "2008". Filmtracks.com. Archived from the original on June 9, 2016. Retrieved June 10, 2016. ^ Kilday, Gregg (February 25, 2009). "'Button' among Golden Reel nominees". The Hollywood Reporter. Archived from the original on June 9, 2016. Retrieved June 9, 2016. ^ Seijas, Casey (April 12, 2008). "'The Dark Knight', 'Iron Man' Rock the Grammy Nominations". MTV. Archived from the original on June 9, 2016. Retrieved June 9, 2016. ^ "ASCAP Honors Top Film and Television Music Composers and Songwriters at 24th Annual Awards Celebration". ASCAP. May 12, 2009. Archived from the original on June 9, 2016. Retrieved June 9, 2016. ^ "Awards". 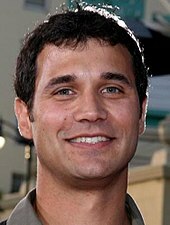 Ramin Djawadi. Archived from the original on September 13, 2016. Retrieved September 13, 2016. ^ Thomas, Amanda Krieg (February 17, 2011). "Music in Media / Guild of Music Supervisors Holds First Awards Brunch". Tadpole Audio. Archived from the original on June 9, 2016. Retrieved June 10, 2016. ^ "ASCAP Honors Top Film and Television Music Composers at 26th Annual Awards Celebration". ASCAP. June 23, 2011. Archived from the original on June 9, 2016. Retrieved June 9, 2016. ^ Chagollan, Steve (August 16, 2011). "Composers score WSA noms". Variety. Archived from the original on June 9, 2016. Retrieved June 9, 2016. ^ "HMMA Announces 2011 Nominees for Music in All Visual Media". Marketwired. October 18, 2011. Archived from the original on June 9, 2016. Retrieved June 9, 2016. ^ Knegst, Peter (December 27, 2011). "'The Artist' Tops Phoenix Film Critics Awards". IndieWire. Archived from the original on June 9, 2016. Retrieved June 9, 2016. ^ Clemmensen, Christian. "2011". Filmtracks.com. Archived from the original on June 9, 2016. Retrieved June 10, 2016. ^ Adams, Ryan (December 10, 2011). "Houston Film Critics Society Nominees". Awards Daily. Archived from the original on June 9, 2016. Retrieved June 9, 2016. ^ "2011 Awards". Georgia Film Critics Association. Archived from the original on June 9, 2016. Retrieved June 9, 2016. ^ "2011: The Year of The Artist". Online Film & Television Association Award. Archived from the original on June 9, 2016. Retrieved June 9, 2016. ^ "Guild of Music 2nd Annual Awards Brunch". apm music. February 7, 2012. Archived from the original on June 9, 2016. Retrieved June 10, 2016. ^ "IFMCA Award Nominations 2011". Film Music Critics. February 9, 2012. Archived from the original on June 9, 2016. Retrieved June 9, 2016. ^ Gallo, Phil (May 17, 2012). "Backbeat: Rolfe Kent Receives Career Achievement Honor at BMI Film and TV Awards". Billboard. Prometheus Global Media. Archived from the original on July 1, 2014. Retrieved December 9, 2012. ^ "ASCAP Honors Top Film and TV Music Composers at 27th Annual Awards Celebration". ASCAP. June 28, 2012. Archived from the original on June 9, 2016. Retrieved June 9, 2016. ^ Clemmensen, Christian. "2013". Filmtracks.com. Archived from the original on June 9, 2016. Retrieved June 10, 2016. ^ Johns, Nikara (February 17, 2014). "MPSE Golden Reel Awards: 'Captain Phillips,' 'Gravity,' 'The Great Gatsby' Win Sound Editors Awards". Variety. Archived from the original on May 3, 2016. Retrieved May 3, 2016. ^ "IFMCA Award Nominations 2013". Film Music Critics. February 6, 2014. Archived from the original on June 9, 2016. Retrieved June 9, 2016. ^ "Wendy & Lisa, Steven Price, Bear McCreary & Dave Porter Take Top Honors at 2014 ASCAP Film & TV Music Awards". ASCAP. June 26, 2014. Archived from the original on June 9, 2016. Retrieved June 10, 2016. ^ Johns, Nikara (February 25, 2014). "'Gravity,' 'The Hobbit: The Desolation of Smaug' Lead Saturn Awards Noms". Variety. Archived from the original on June 9, 2016. Retrieved June 9, 2016. ^ Rogers, Nathaniel (November 4, 2014). "Will the Hollywood Music in Media Awards Tell Us Anything about the Oscars?". The Film Experience. Archived from the original on June 9, 2016. Retrieved June 9, 2016. ^ Feinberg, Scott (November 5, 2014). "Hollywood Music in Media Awards: Gregg Alexander Performs, Glen Campbell Feted". The Hollywood Reporter. Archived from the original on June 9, 2016. Retrieved June 9, 2016. ^ "American Music Awards 2014: Complete list of winners and nominees". Los Angeles Times. October 13, 2014. Archived from the original on July 30, 2016. Retrieved July 30, 2016. ^ "The 61st MPSE Golden Reel Awards (Television)". Archived from the original on December 3, 2014. Retrieved December 4, 2014. ^ "2014 StLFCA Annual Award Winners". St. Louis Film Critics Association. December 15, 2014. Archived from the original on June 9, 2016. Retrieved June 9, 2016. ^ "Fifth Annual Guild of Music Supervisors Awards". Guild of Music Supervisors. January 21, 2015. Archived from the original on June 9, 2016. Retrieved June 10, 2016. ^ McNary, Dave (July 14, 2015). "Motion Picture Sound Editors Announce Golden Reel Nominees". Variety. Archived from the original on June 9, 2016. Retrieved June 9, 2016. ^ Vejvoda, Jim (March 3, 2015). "Captain America: The Winter Soldier Leads the 41st Annual Saturn Awards Film Nominations". IGN. Archived from the original on March 7, 2015. Retrieved June 9, 2016. ^ "Oscar-Winning Composer Alexandre Desplat Honored as BMI Icon at 2015 Film/TV Awards". BMI. May 14, 2016. Archived from the original on June 13, 2016. Retrieved June 13, 2016. ^ Cavanaugh, Patrick (December 5, 2014). "Awesome Mix Vol. 1 Is Certified Awesome by the Grammys". Marvel.com. Archived from the original on June 9, 2016. Retrieved June 9, 2016. ^ Feinberg, Scott (October 20, 2015). "Hollywood Music in Media Awards: Sam Smith, Lady Gaga, Brian Wilson Among Nominees (Exclusive)". The Hollywood Reporter. Archived from the original on June 9, 2016. Retrieved June 9, 2016. ^ Clemmensen, Christian. "2015". Filmtracks.com. Archived from the original on June 9, 2016. Retrieved June 10, 2016. ^ "Composer Craig Armstrong Honored With ASCAP Henry Mancini Award at 2016 ASCAP Screen Music Awards". ASCAP. March 25, 2016. Archived from the original on June 9, 2016. Retrieved June 10, 2016. ^ "Composer James Newton Howard Honored as BMI Icon at 2016 Film/TV Awards". BMI. May 12, 2016. Archived from the original on June 12, 2016. Retrieved June 12, 2016. ^ Lovett, Jaimie (September 11, 2016). "Marvel's Jessica Jones Wins Creative Arts Emmy Award". ComicBook.com. Archived from the original on September 13, 2016. Retrieved September 13, 2016. ^ Pride, Ray (November 2, 2016). "7th Annual Hollywood Music In Media Awards Announces Nominees In Film, TV, & Video Games". Movie City News. Archived from the original on November 4, 2016. Retrieved November 5, 2016. ^ Clemmensen, Christian. "2016". Filmtracks.com. Archived from the original on April 18, 2017. Retrieved April 18, 2017. ^ Tapley, Kristopher (January 27, 2017). "'Arrival,' 'Rogue One,' 'Westworld' Lead MPSE Sound Editing Nominations". Variety. Archived from the original on January 28, 2017. Retrieved January 28, 2017. ^ Jon (February 23, 2017). "IFMCA Award Winners 2016". Film Music Critics. Archived from the original on August 26, 2017. Retrieved August 27, 2017. ^ Levy, Dani (February 9, 2017). "'Arrival,' 'La La Land' Among Film Music Critics Nominees". Film Music Critics. Archived from the original on August 27, 2017. Retrieved August 27, 2017. ^ "2017 Screen Music Awards". ASCAP. May 16, 2017. Archived from the original on August 26, 2017. Retrieved August 27, 2017. ^ "Billboard Music Awards 2018 Nominations: See the Full List". Billboard. April 17, 2018. Archived from the original on April 21, 2018. Retrieved April 19, 2018. ^ Cohen, Jess (June 13, 2018). "Teen Choice Awards 2018: Avengers: Infinity War, Black Panther and Riverdale Among Top Nominees". E! Online. Archived from the original on June 13, 2018. Retrieved June 13, 2018. ^ Browning, Justine (August 20, 2018). "MTV VMAs 2018: See the full list of winners". Entertainment Weekly. Archived from the original on August 21, 2018. Retrieved August 21, 2018. ^ Murphy, Sarah (August 1, 2018). "Here's the Full List of 2018 iHeartRadio MMVA Nominees". Exclaim!. Retrieved August 9, 2018. ^ Broos, Robin (October 17, 2018). "Jóhann Jóhannsson is postuum filmcomponist van het jaar". De Morgen. Retrieved October 17, 2018. ^ "2018 Hollywood Music in Media Awards Winners". HMMA. November 15, 2018. Retrieved November 15, 2018. ^ N'Duka, Amanda (December 11, 2018). "'Black Panther' Named Best Film By African American Film Critics Association". Deadline Hollywood. Retrieved December 11, 2018. ^ WAFCA Staff (December 1, 2018). "'Roma' Feels the Love with D.C. Film Critics". Washington D.C. Area Film Critics Association. Retrieved December 1, 2018. ^ IPA Staff (November 29, 2018). "2018 Winners". International Press Academy. Retrieved November 29, 2018. ^ "Golden Globe Nominations: Complete List". Variety. December 6, 2018. Retrieved December 6, 2018. ^ Critics' Choice Awards, ed. (December 14, 2018). "Critics' Choice Awards". Archived from the original on December 10, 2018. Retrieved January 2, 2019. ^ Tapley, Kristopher (February 3, 2019). "'The Favourite,' 'Black Panther,' 'Mrs. Maisel' Among Art Directors Guild Winners". Variety. Retrieved February 3, 2019. ^ "19th Annual Black Reel Awards Winners". Black Reel Awards. February 9, 2018. Retrieved February 9, 2019. ^ Suskind, Alex (December 7, 2018). "Golden Globe Nominations: Complete List". Entertainment Weekly. Retrieved December 7, 2018. ^ "NOMINEES FOR 9th ANNUAL GMS AWARDS ANNOUNCED". January 13, 2019. Retrieved January 13, 2019. ^ "IFMCA Award Nominations 2018". International Film Music Critics Association. February 7, 2019. Retrieved February 7, 2019. ^ "Oscar Winners 2019: The Complete List". Variety. February 23, 2019. Retrieved February 23, 2019. ^ "Shawn Mendes and the Weeknd lead the 2019 Juno nominations". CBC Television. January 29, 2019. Archived from the original on January 31, 2019. Retrieved January 31, 2019. ^ Hipes, Patrick (February 13, 2019). "NAACP Image Awards Nominees: 'Black Panther', 'Beale Street', Netflix, HBO Top List". Deadline Hollywood. Retrieved February 13, 2019. This page was last edited on 22 April 2019, at 18:14 (UTC).